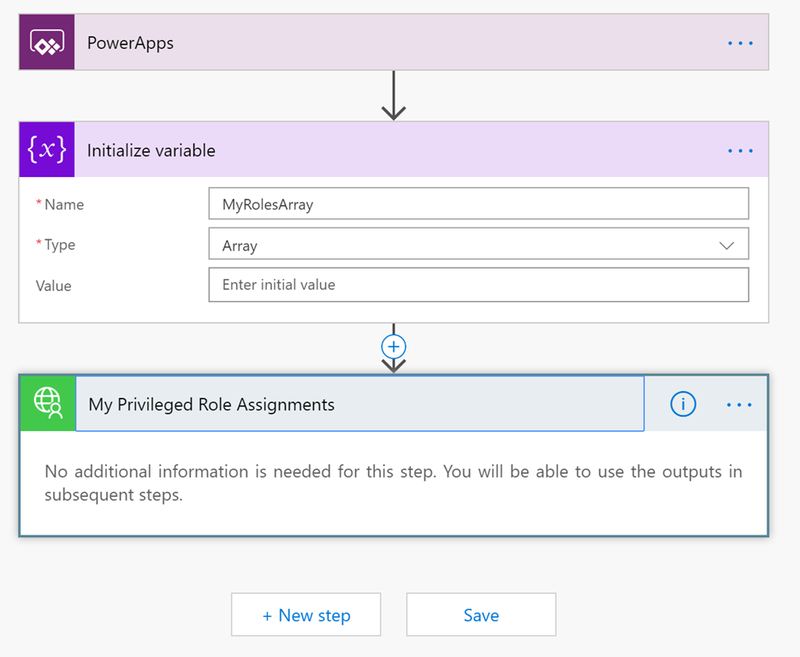 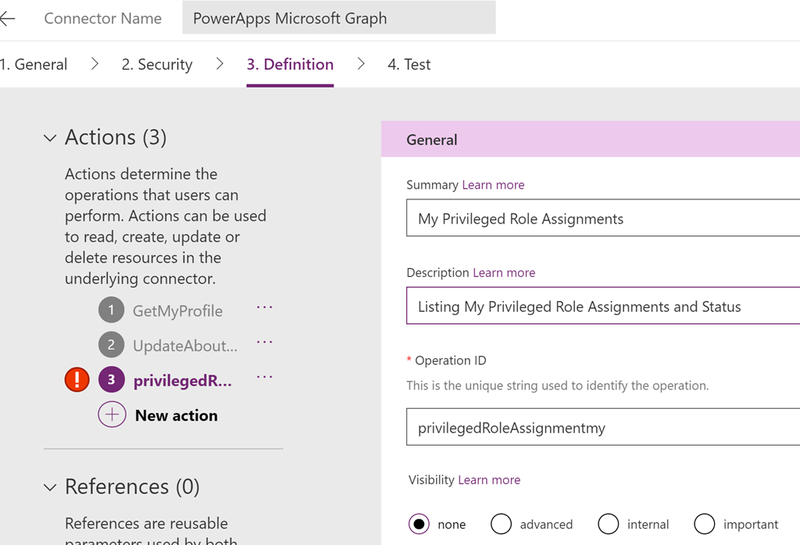 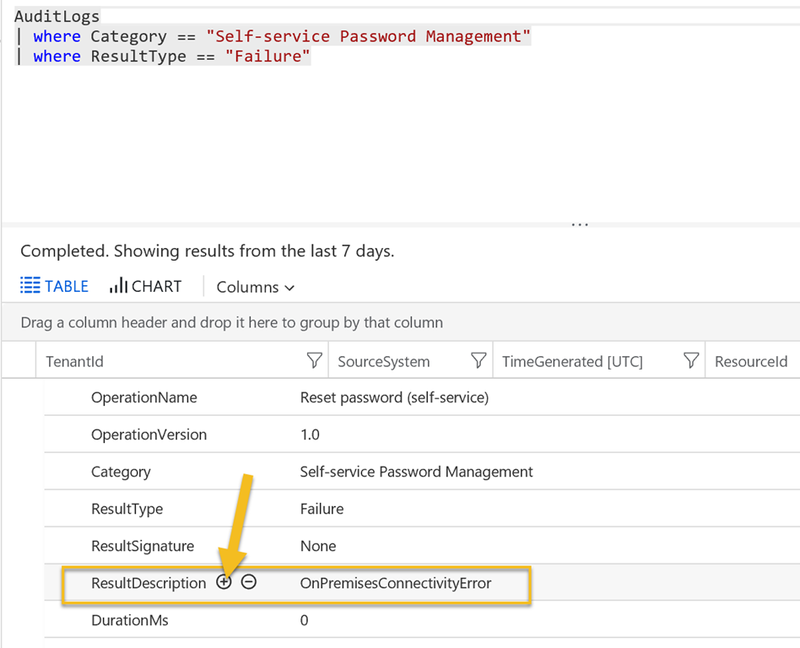 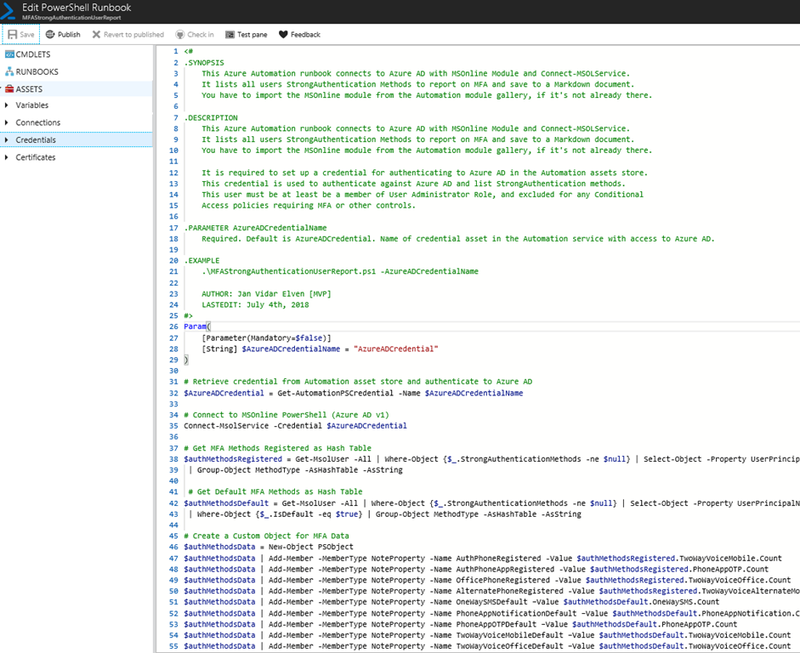 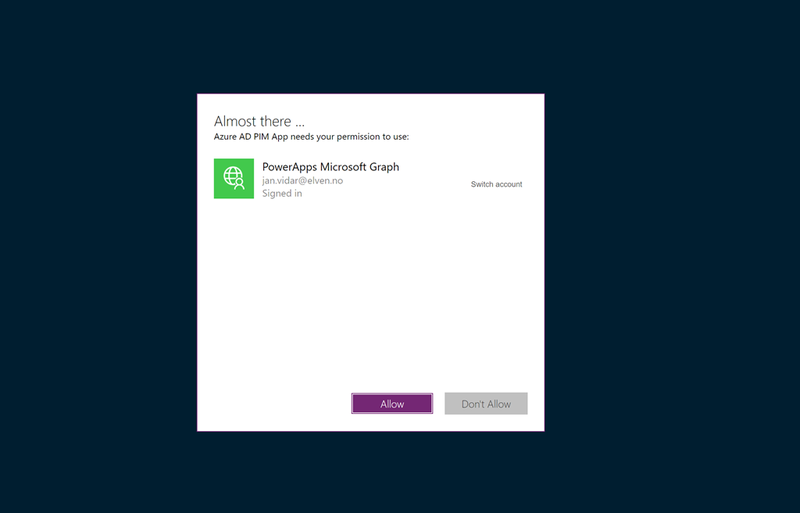 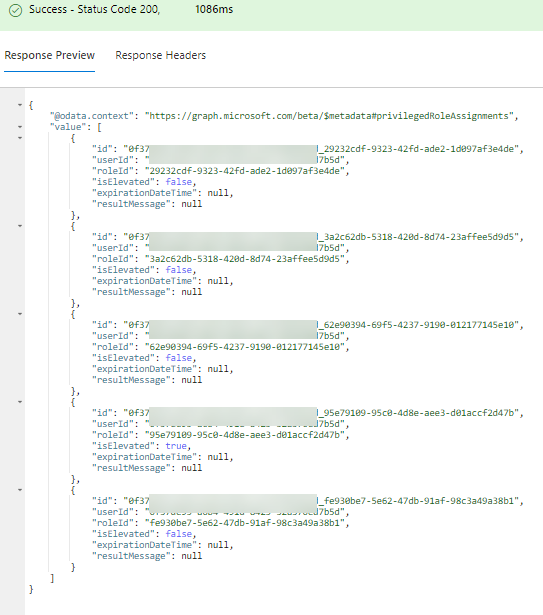 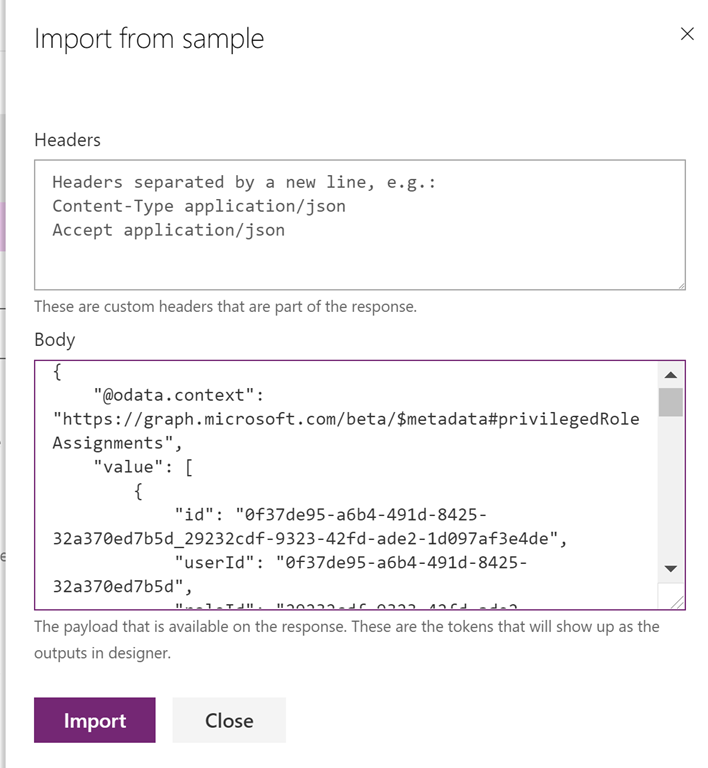 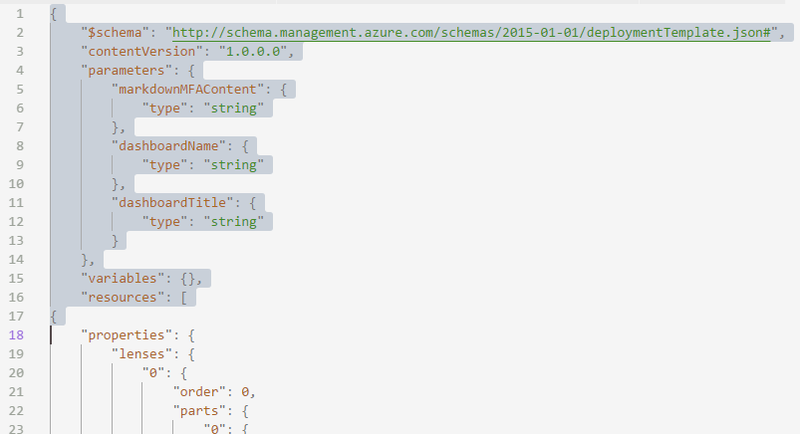 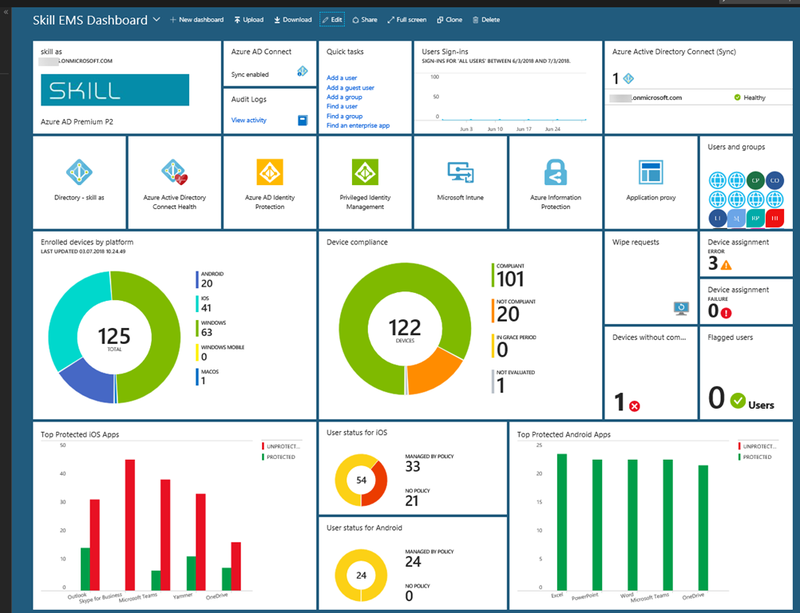 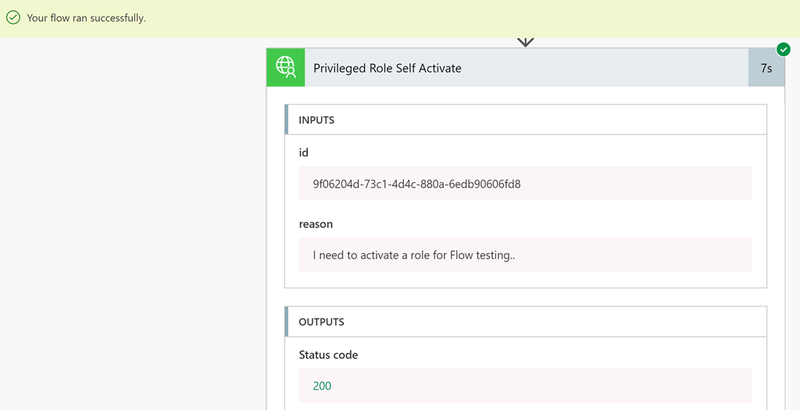 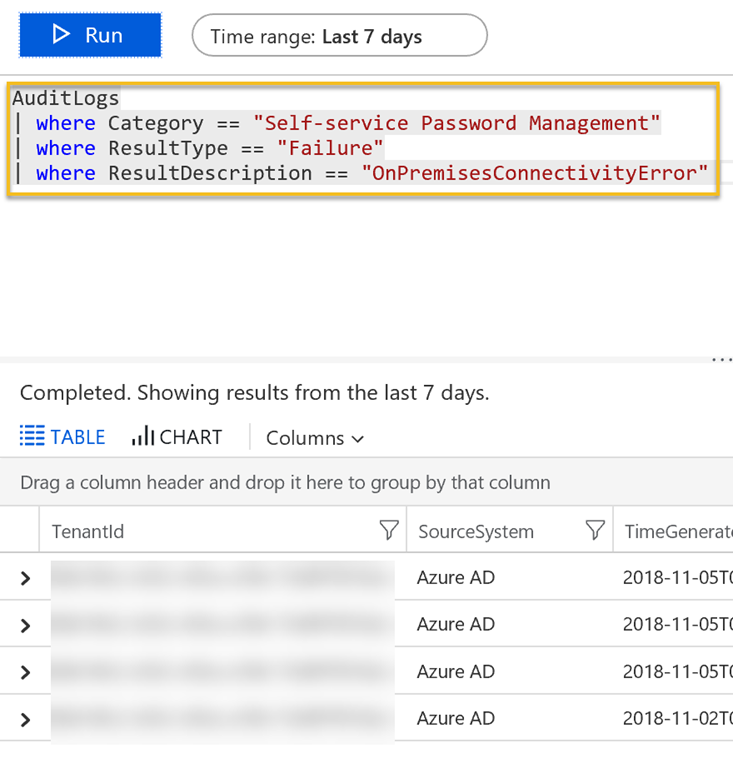 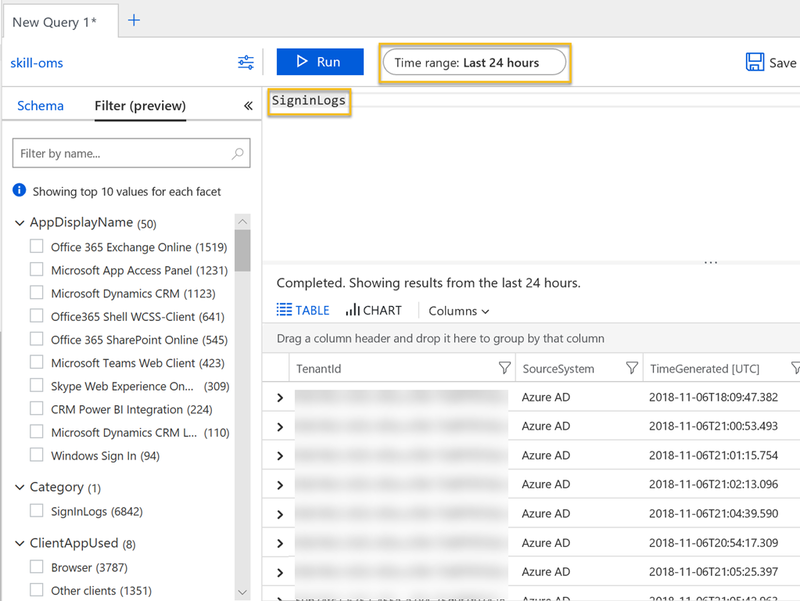 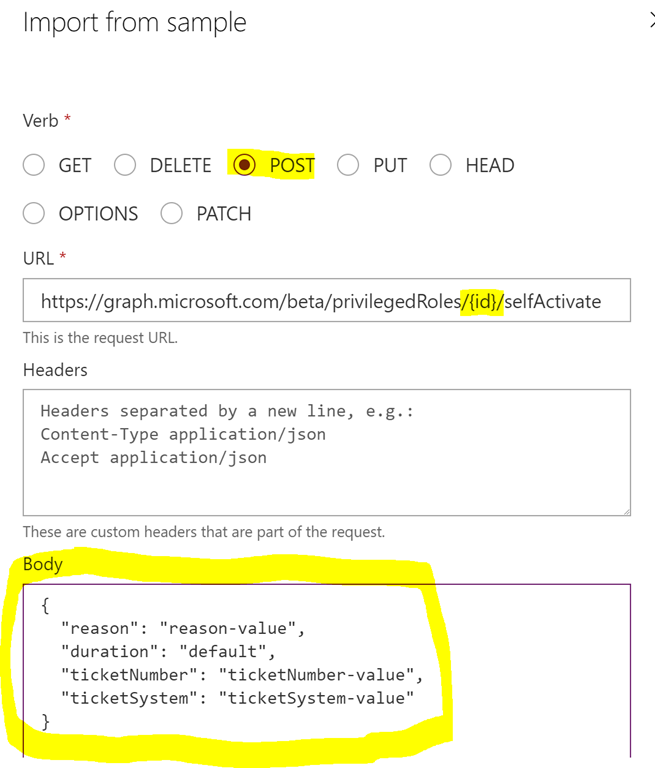 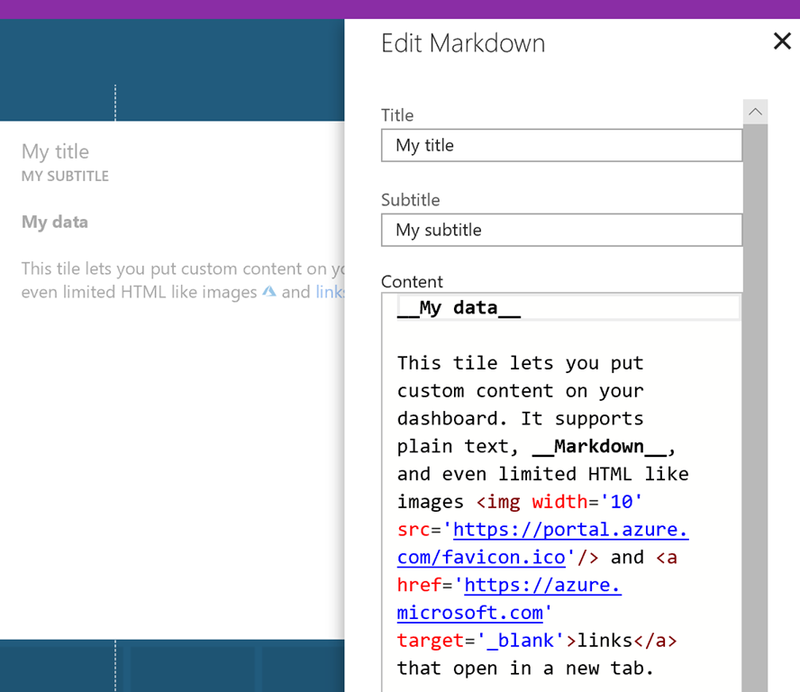 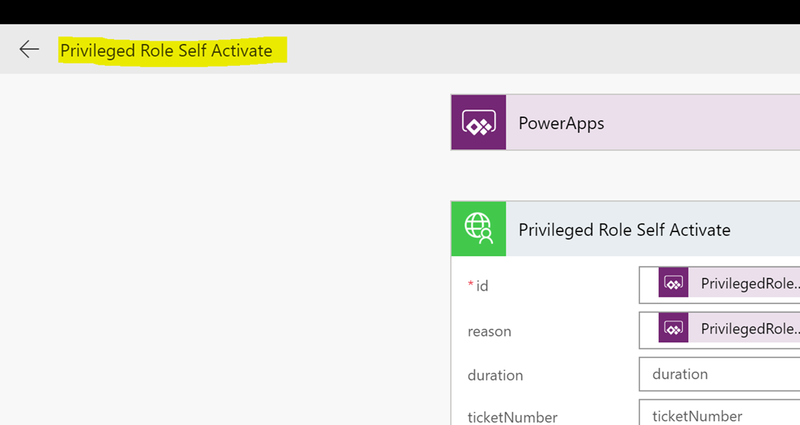 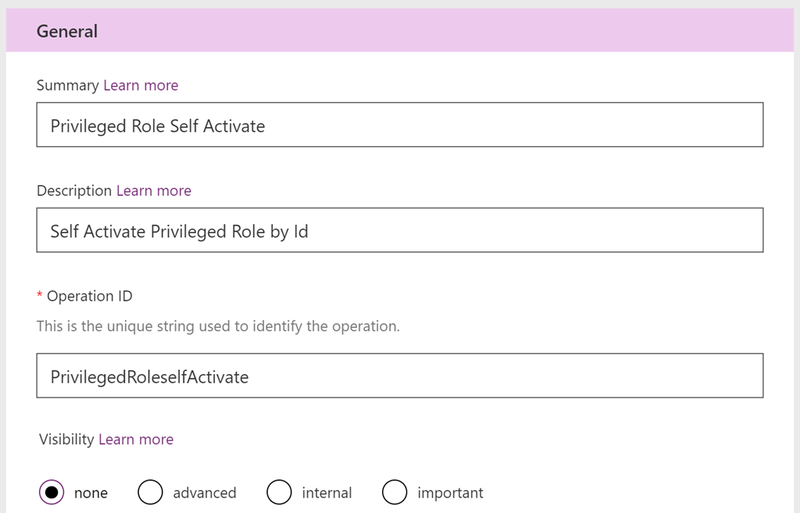 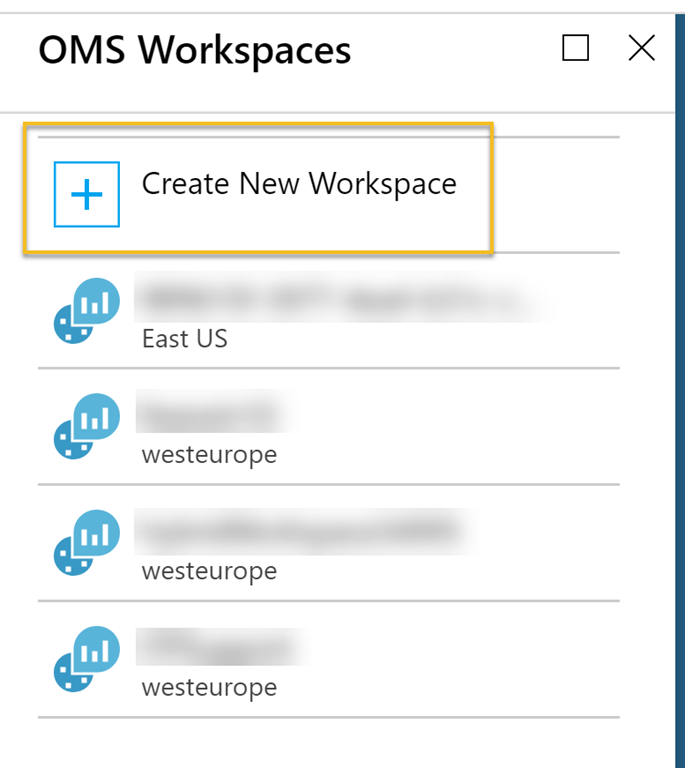 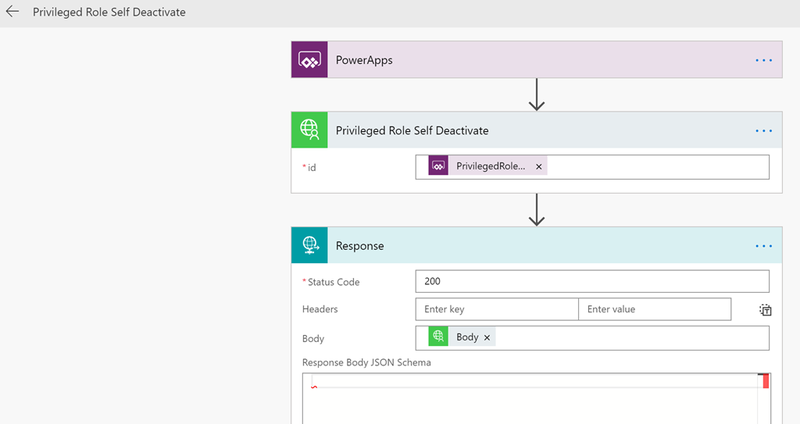 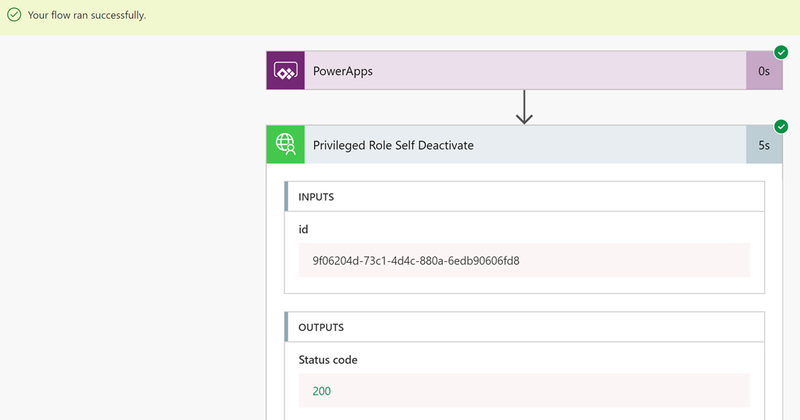 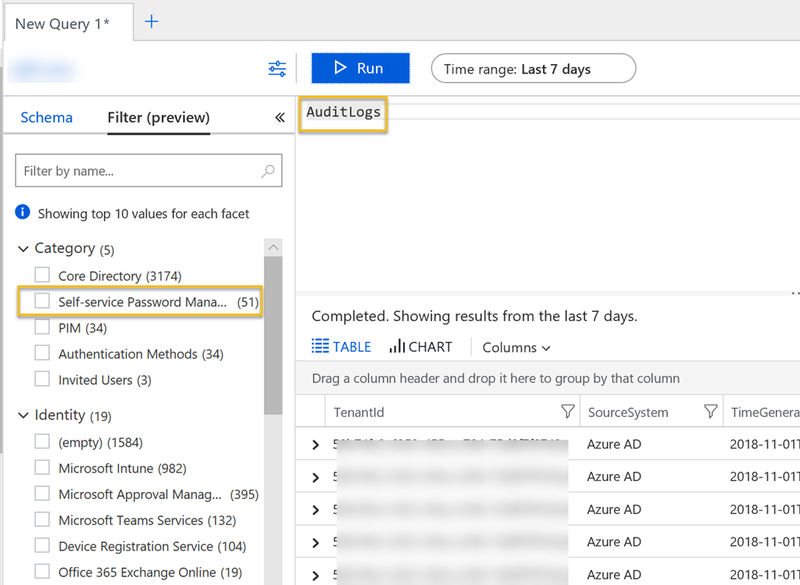 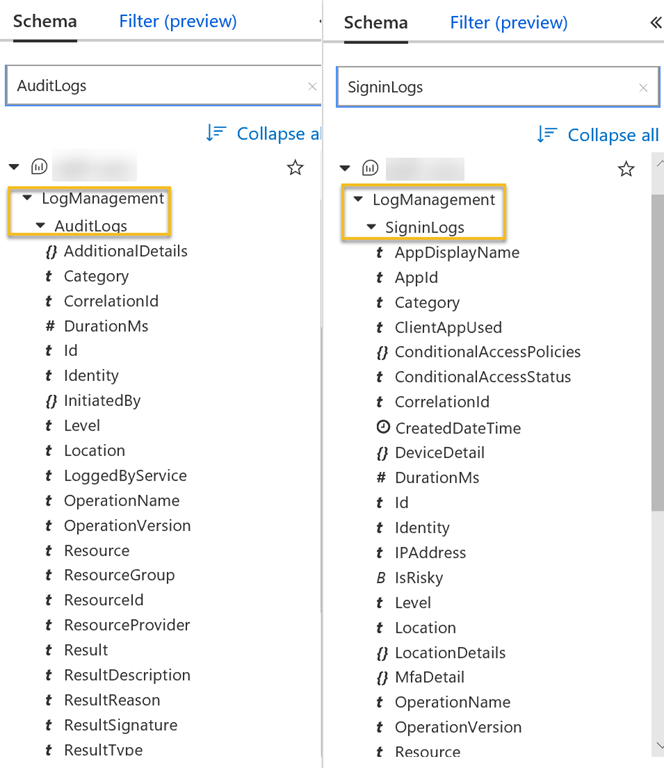 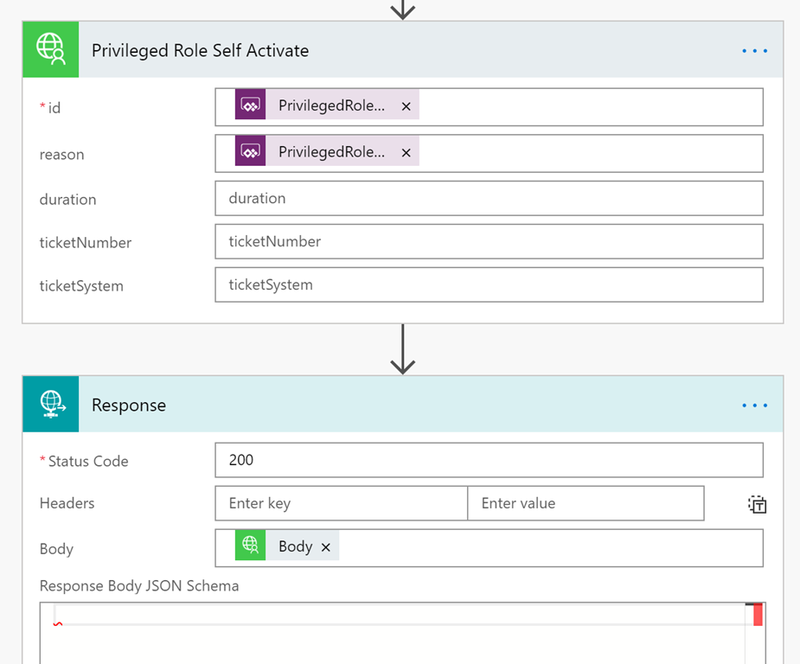 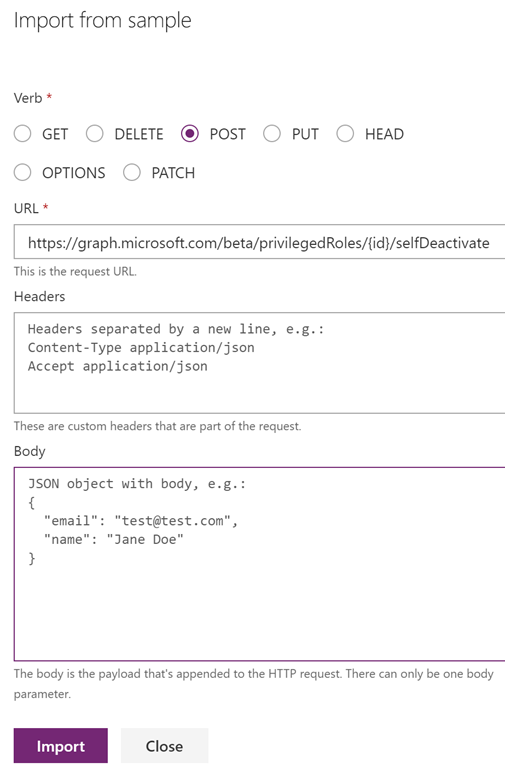 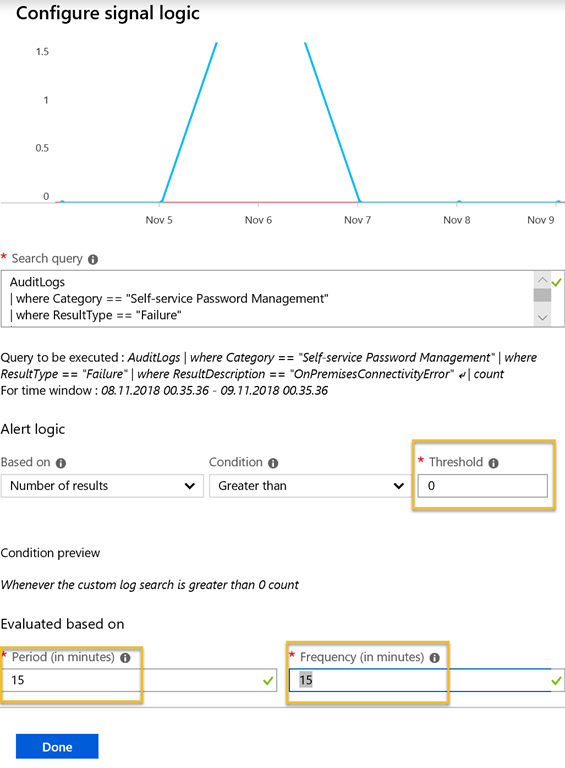 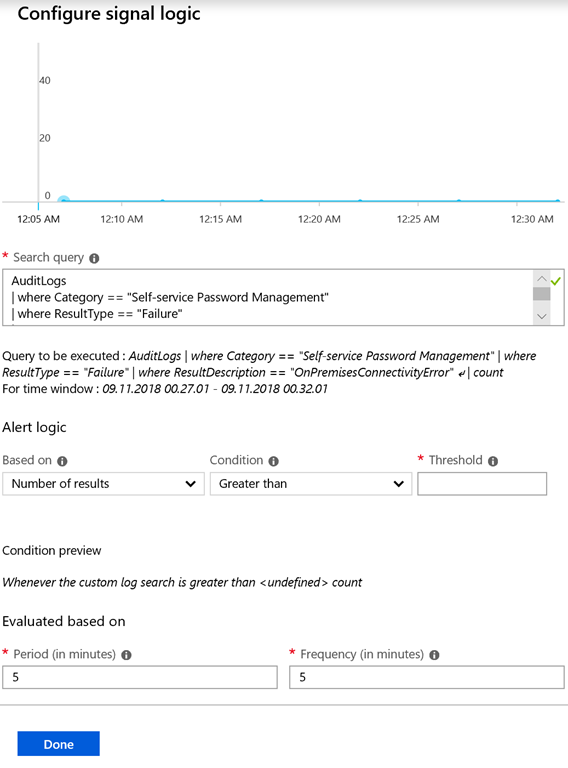 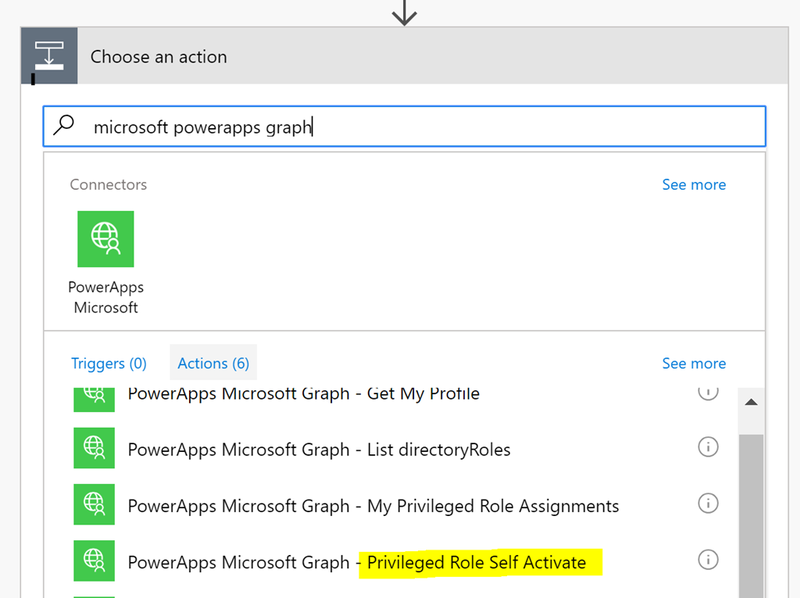 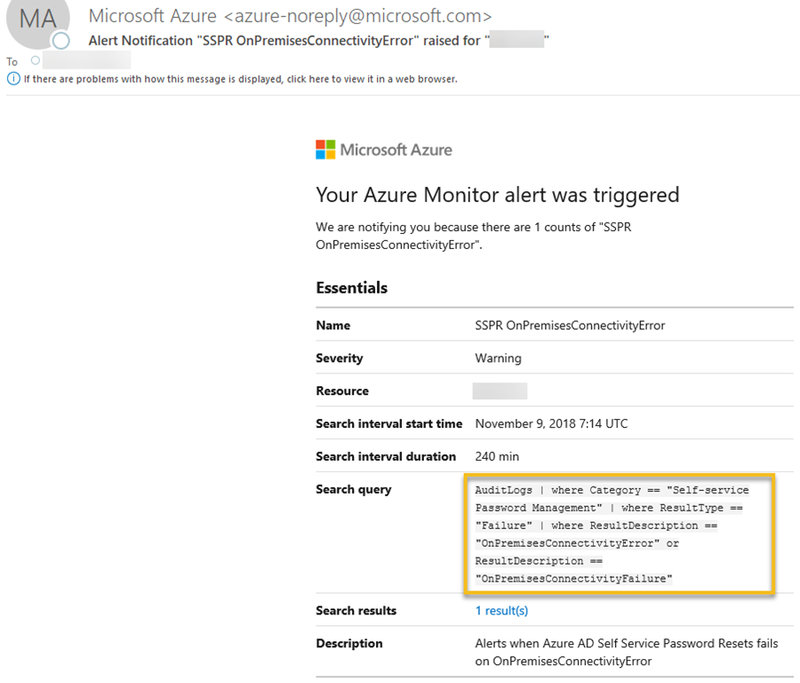 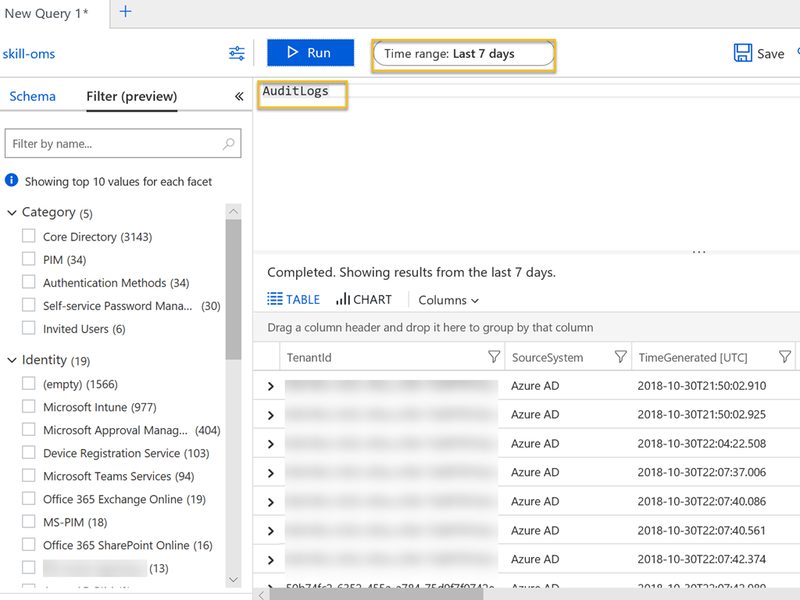 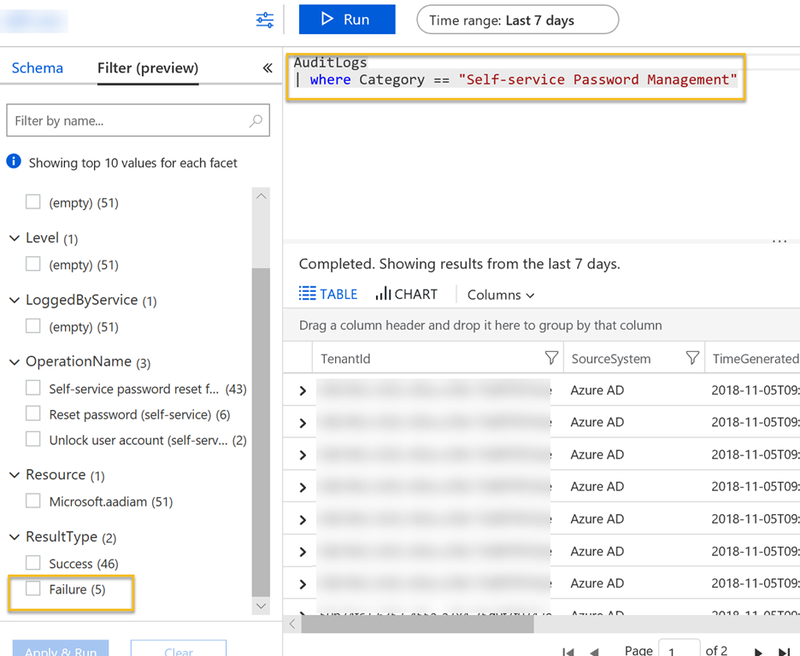 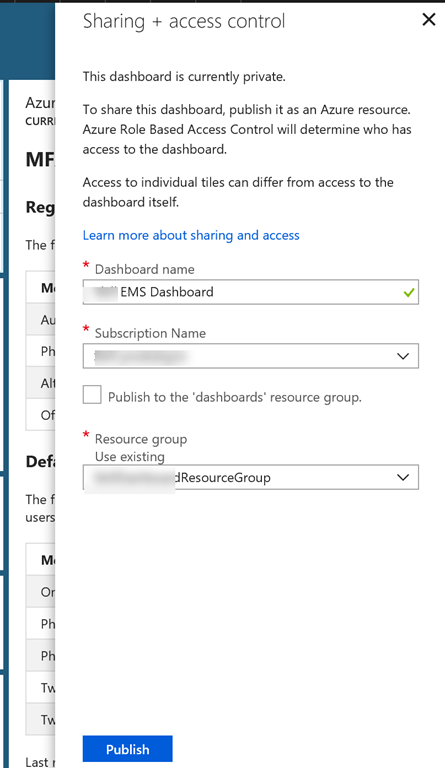 This is a short blog post showing how you can get started and some examples of using the PIM PowerShell Module for Azure AD Privileged Identity Management. 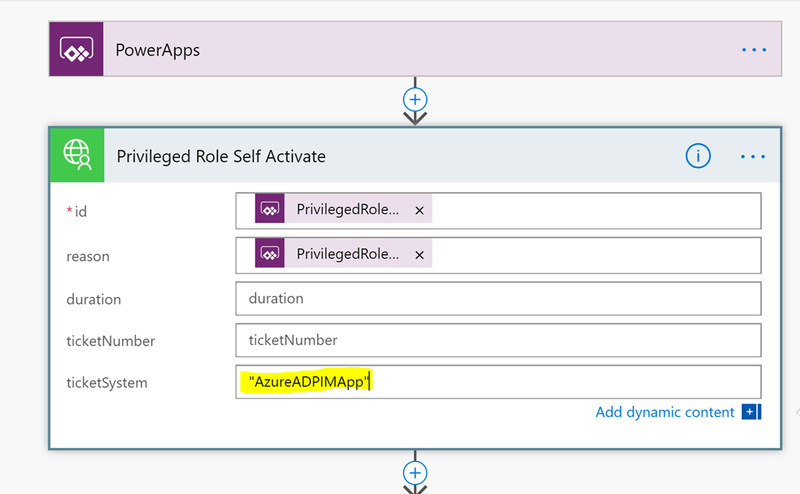 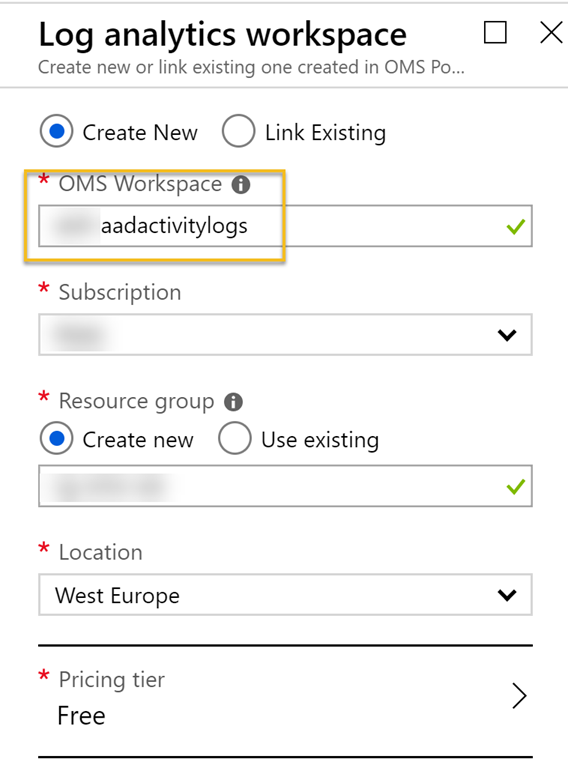 You can read more about Azure AD Privileged Identity Management here: https://docs.microsoft.com/en-us/azure/active-directory/active-directory-privileged-identity-management-configure, or by just using the following short URL: https://aka.ms/AzureADPIM! 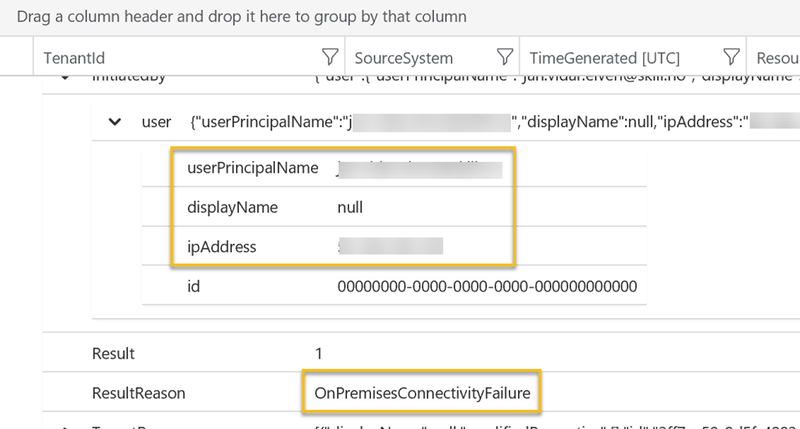 Connect-PimService. 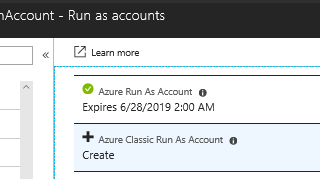 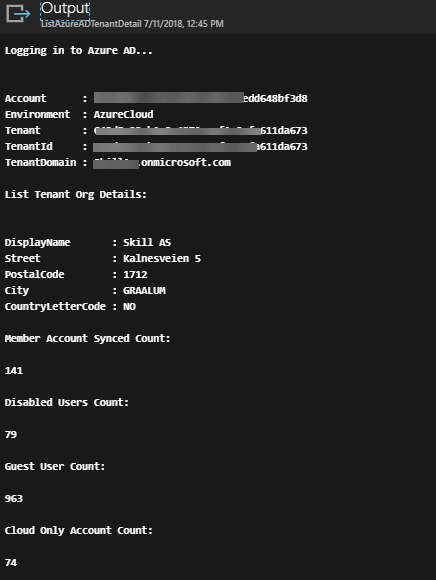 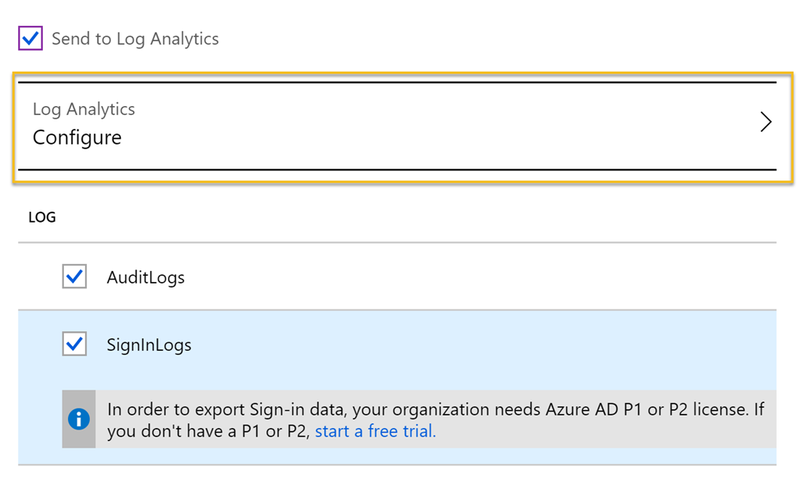 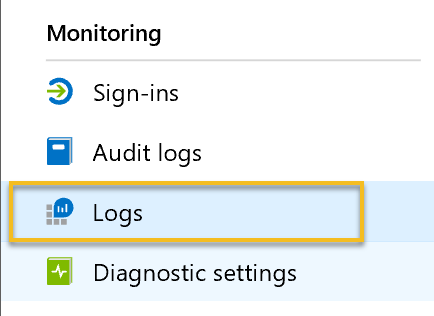 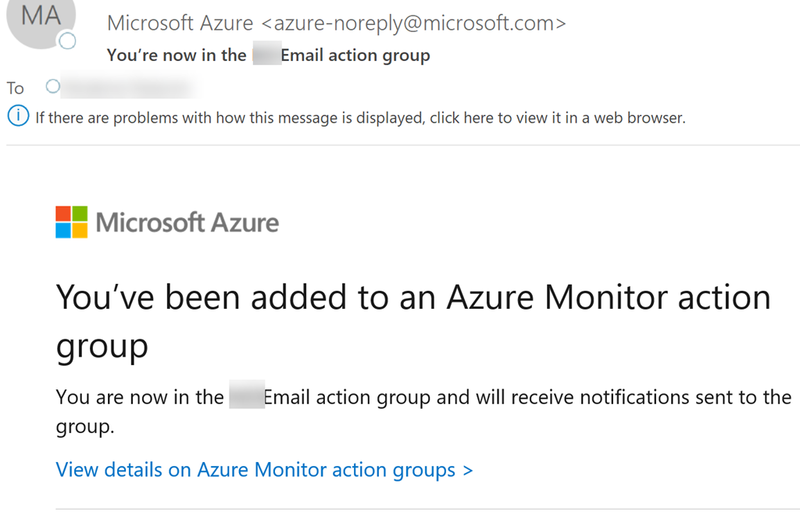 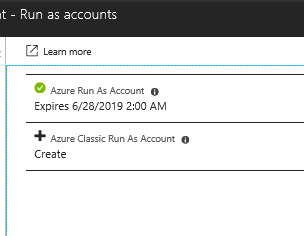 Prompts you to log on with an Azure AD Account that might have any PIM roles assigned. 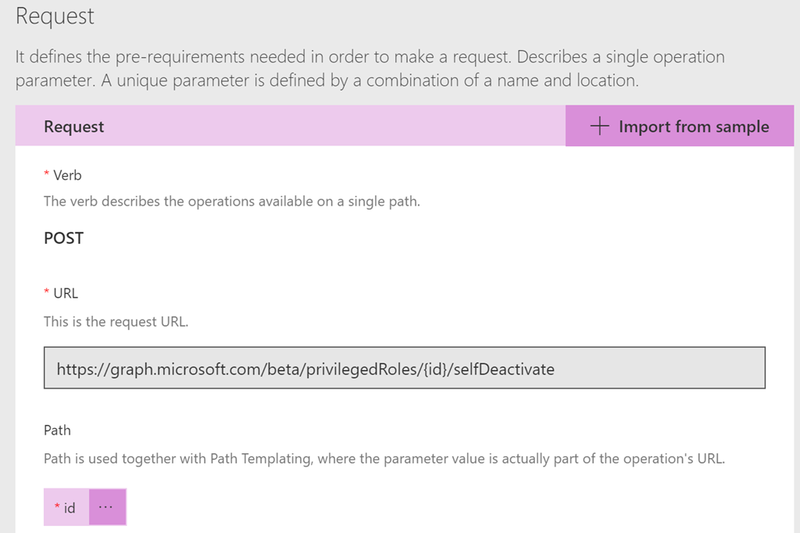 You can optionally specify a username, tenantname or credential object as parameters. 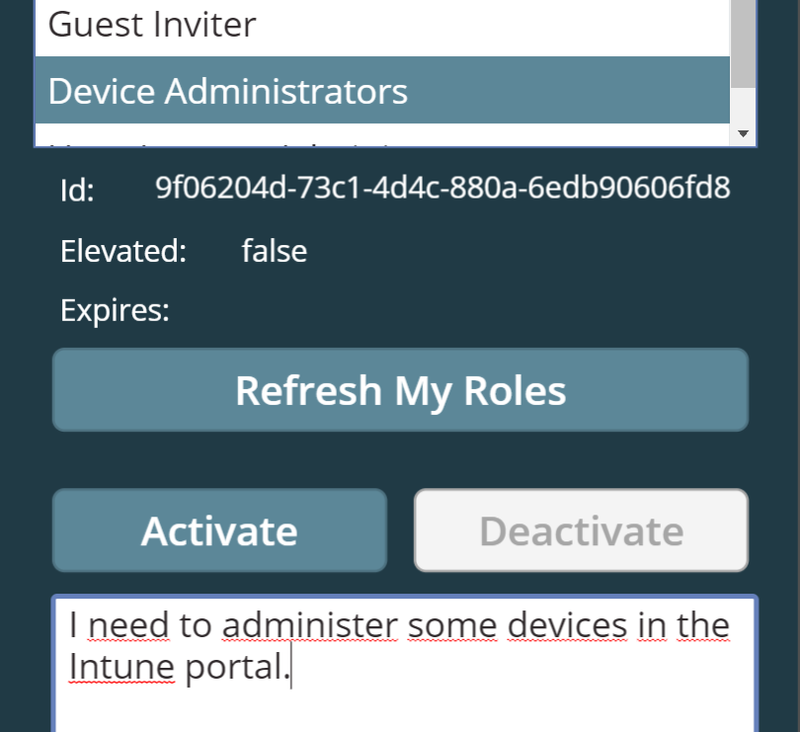 Especially tenantname would be useful if you are a guest user with roles assigned in another tenant. 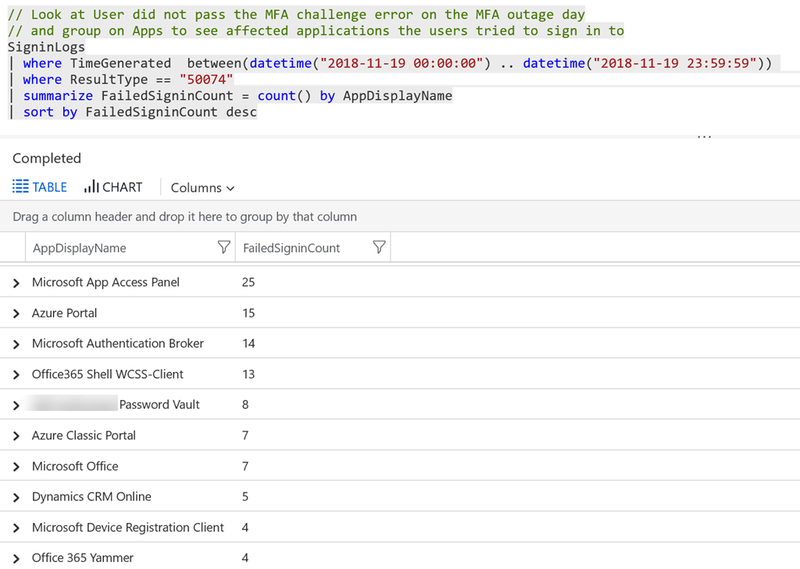 Show-PimServiceConnection. 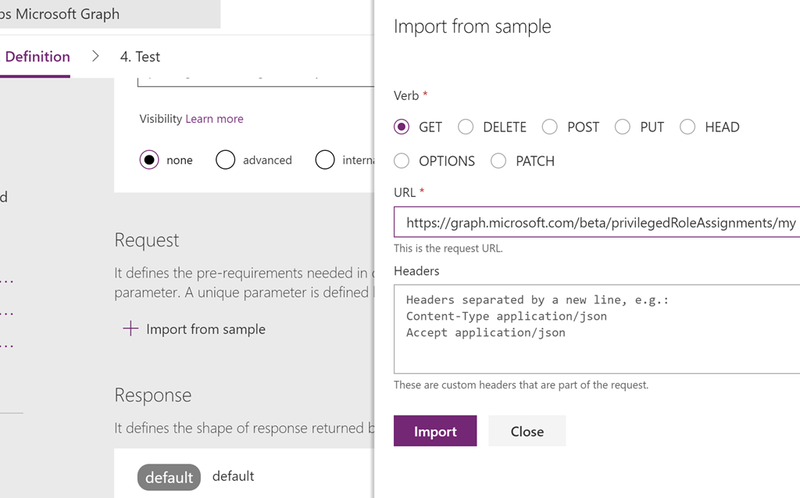 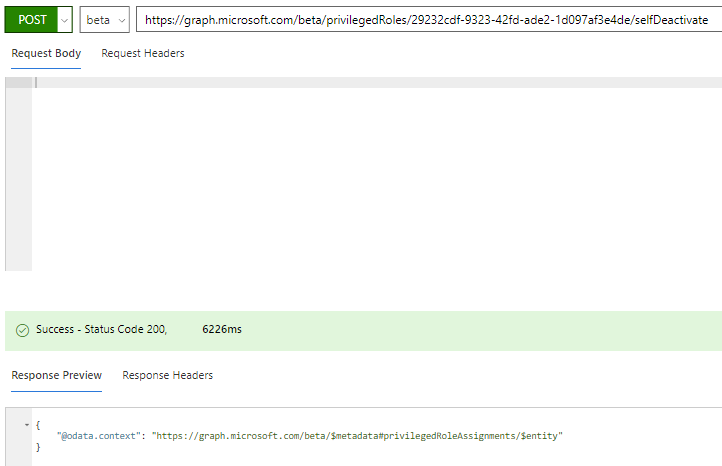 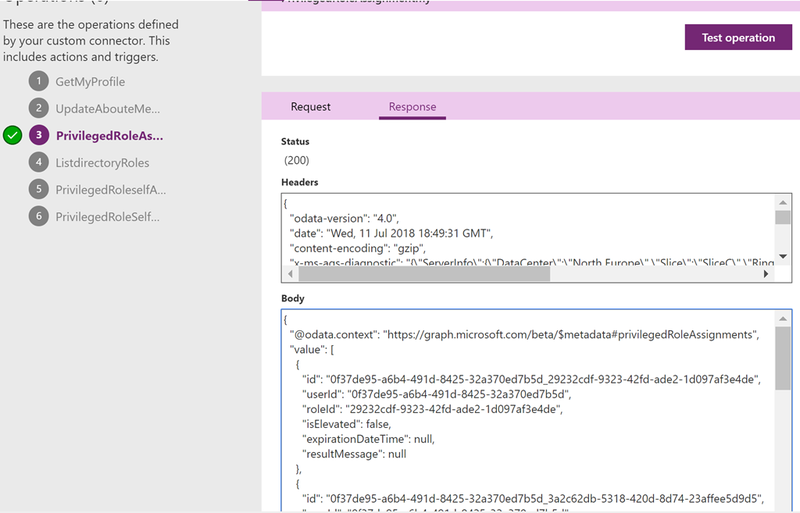 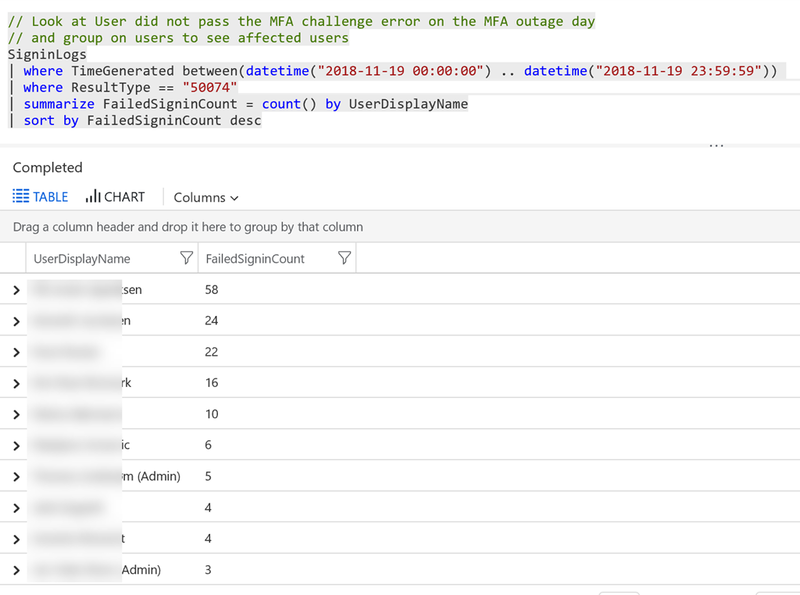 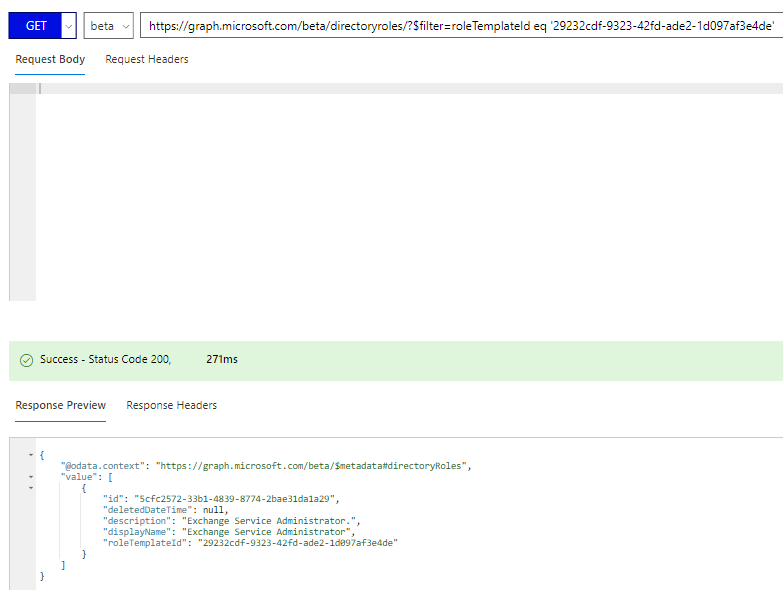 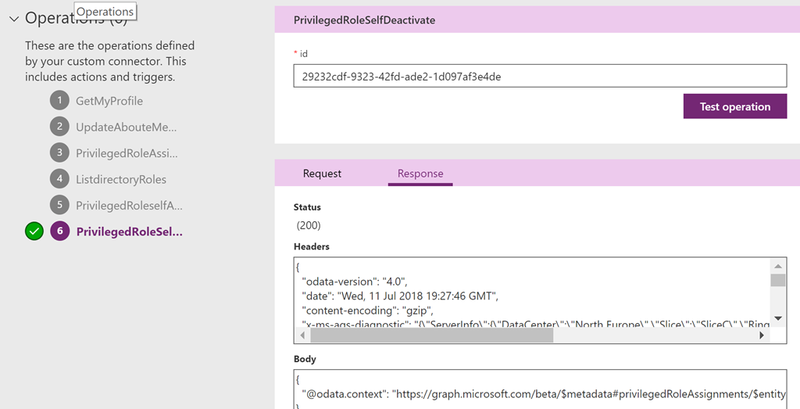 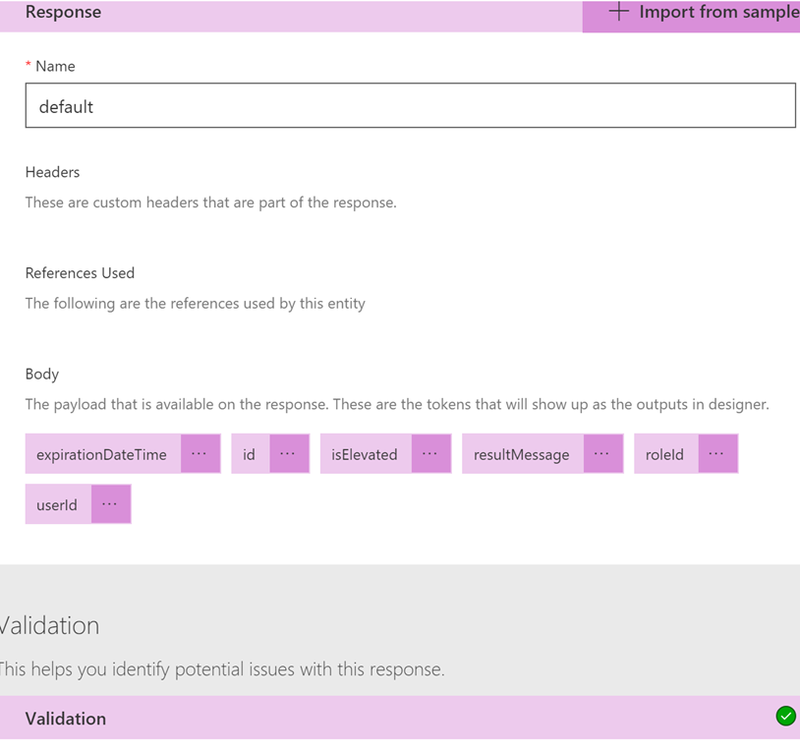 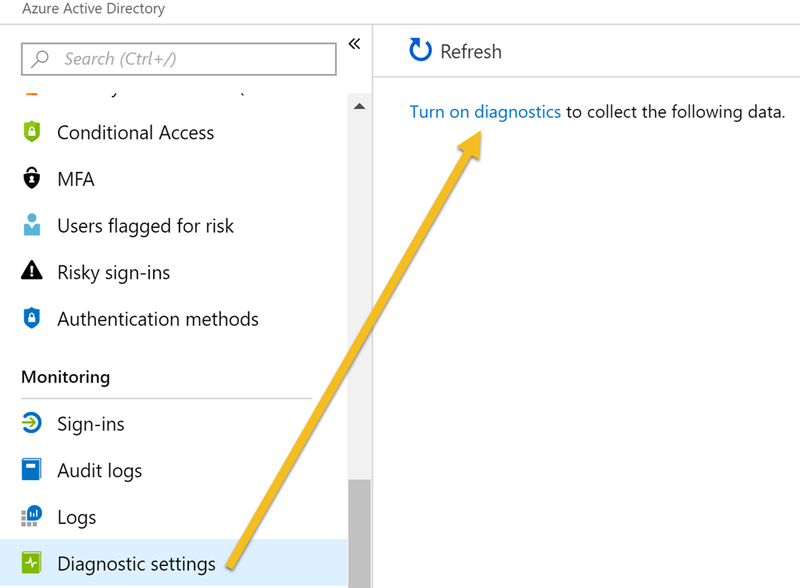 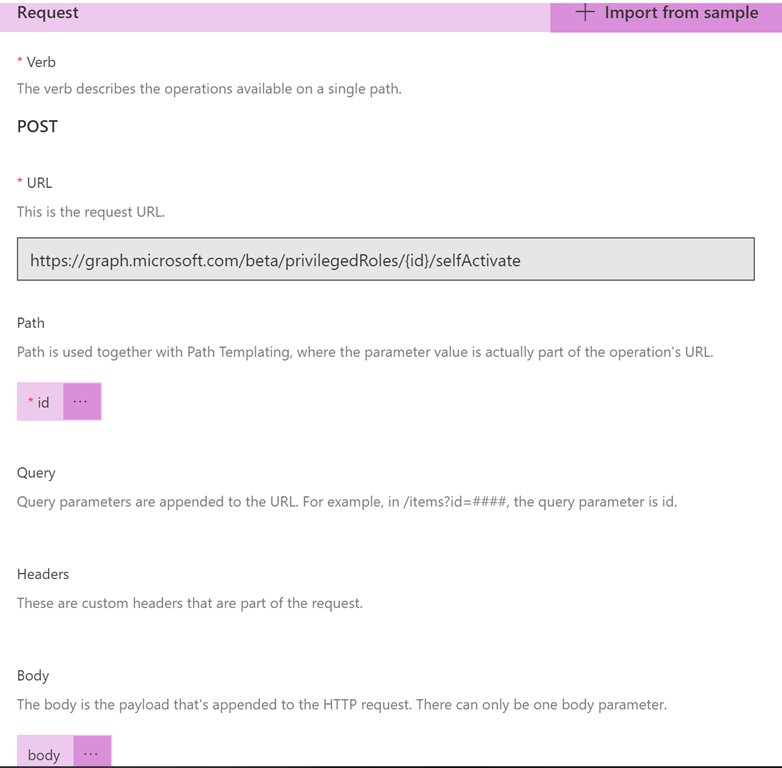 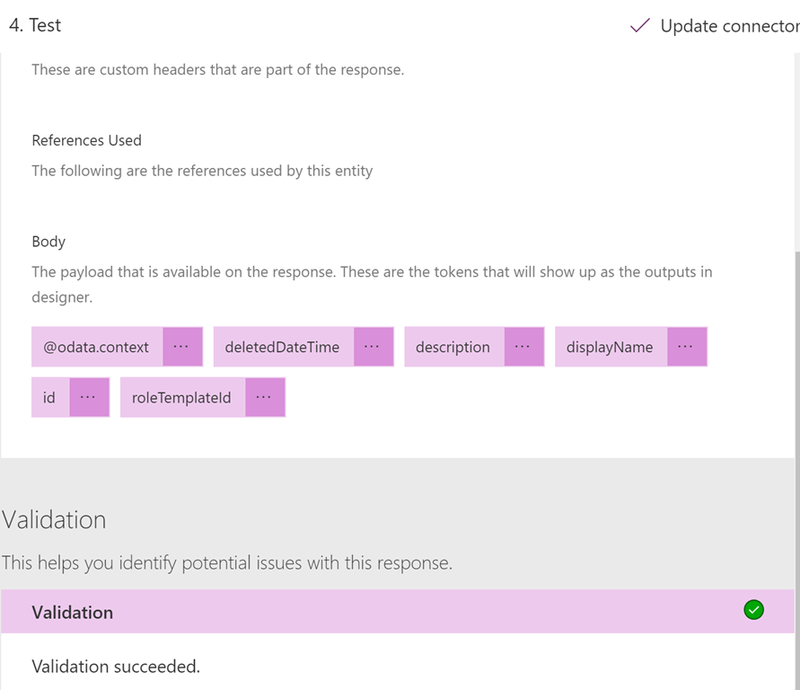 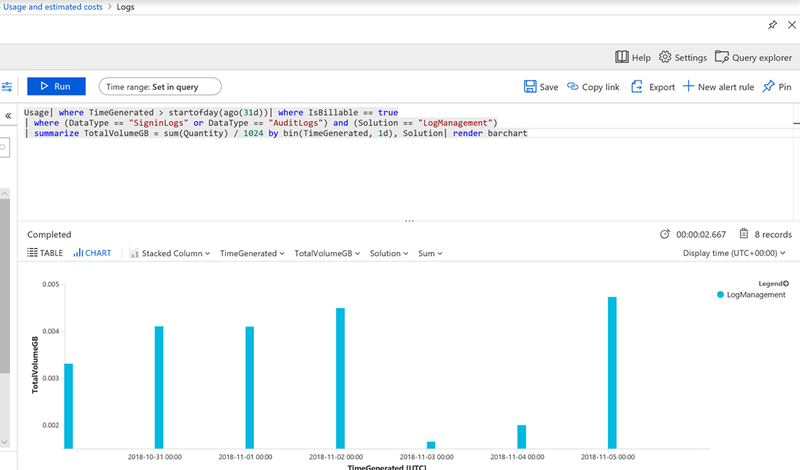 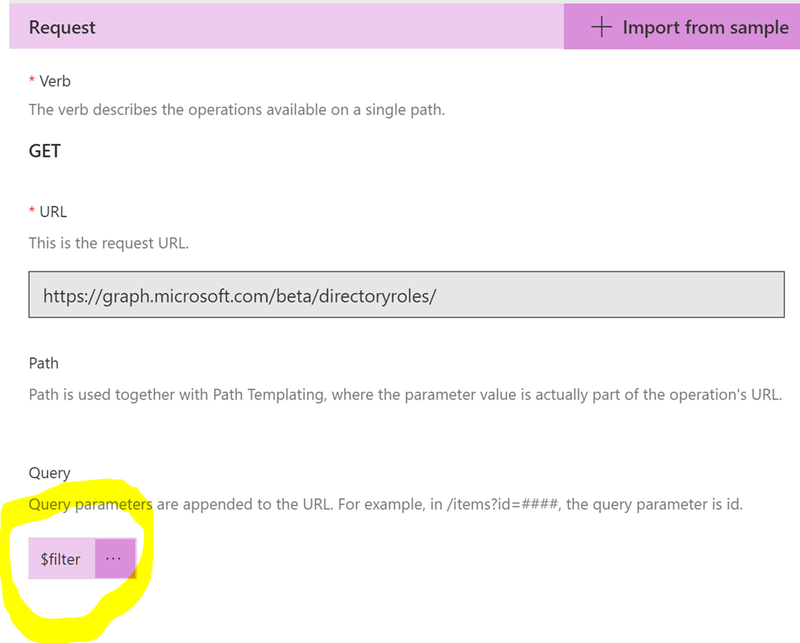 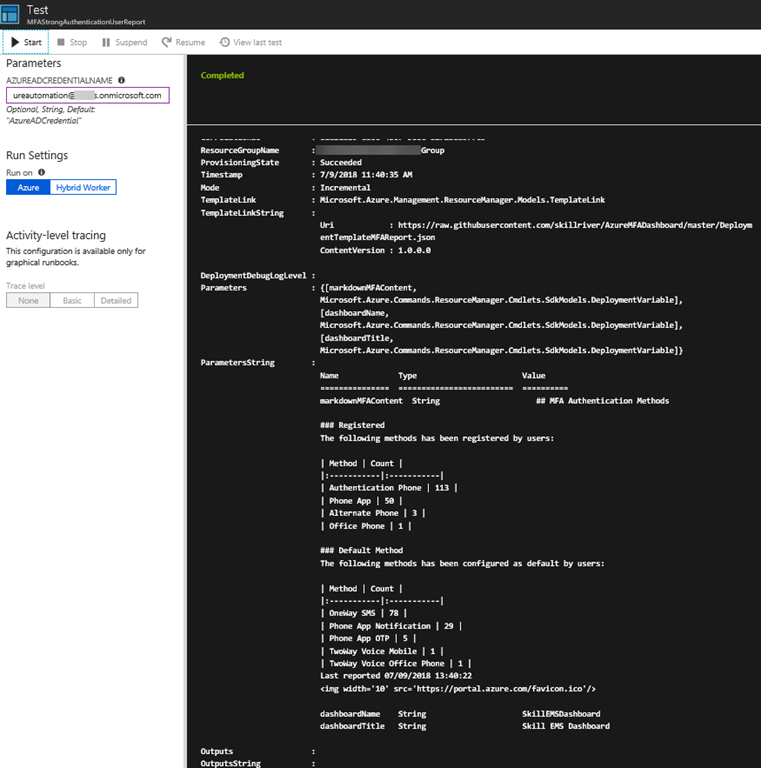 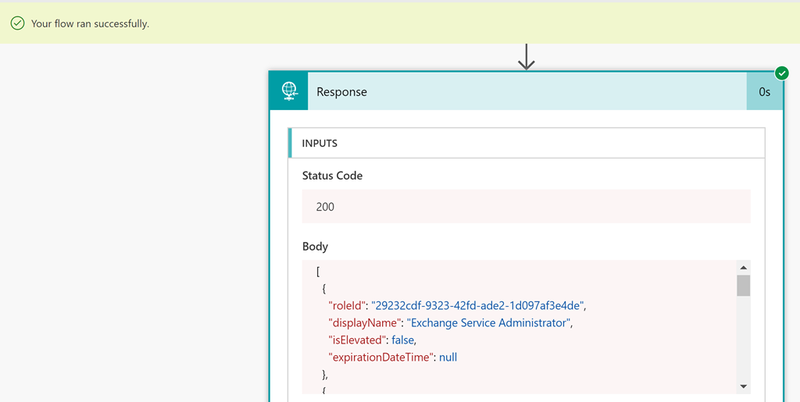 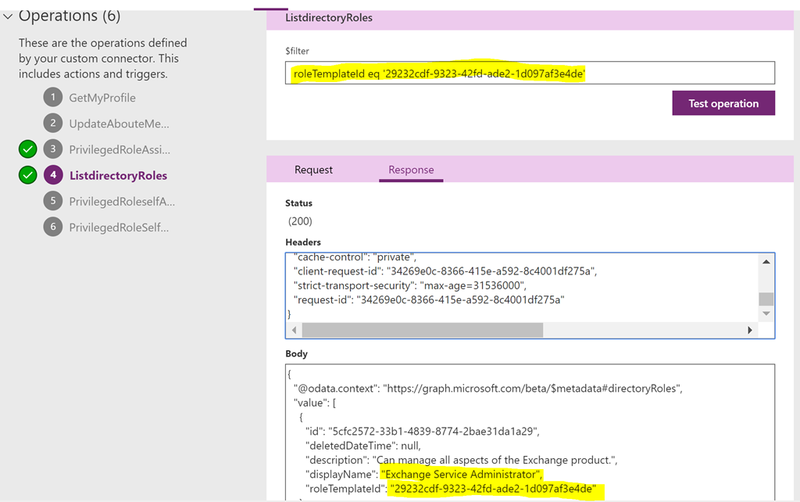 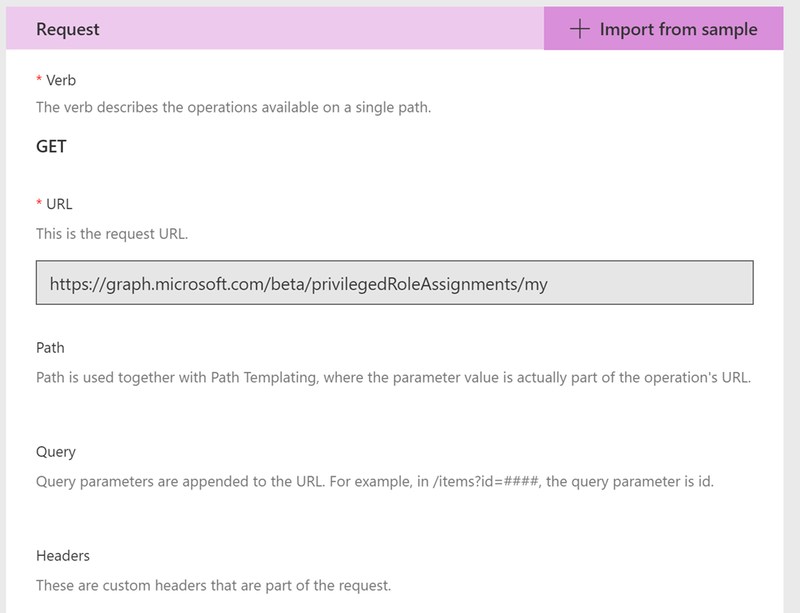 This will show the active PimService session details you have, after connecting with Connect-PimService. 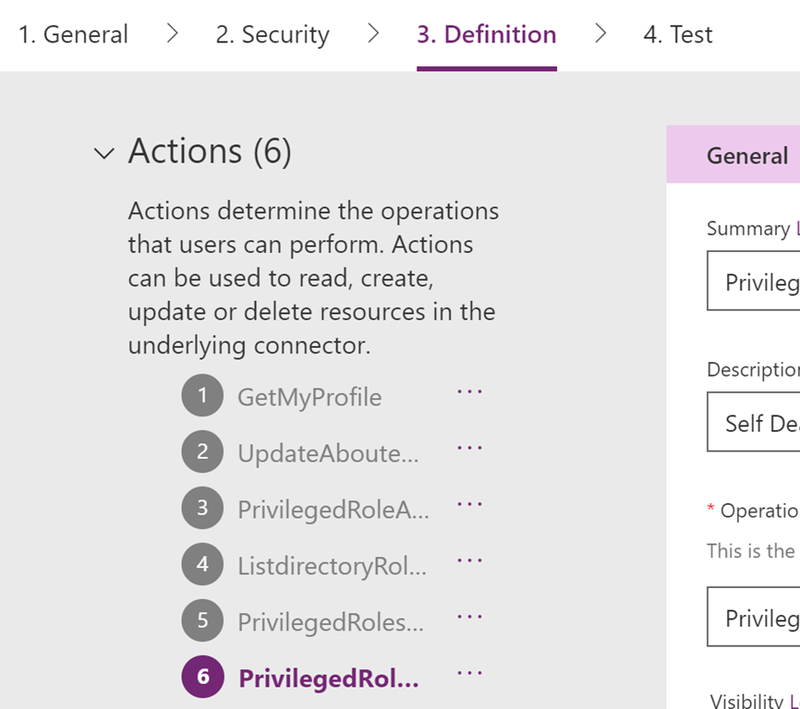 Get-PrivilegedRoleAssignment. 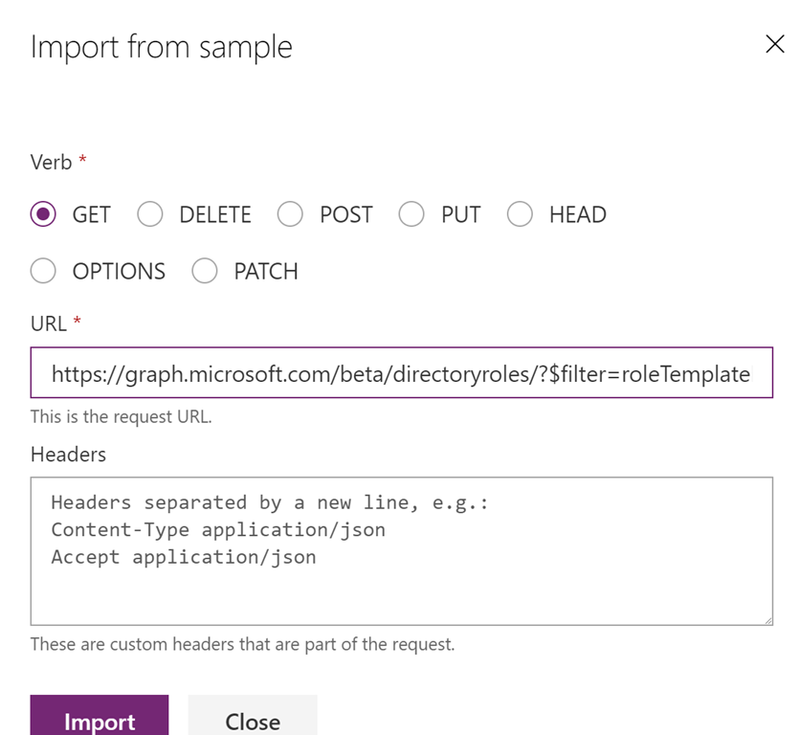 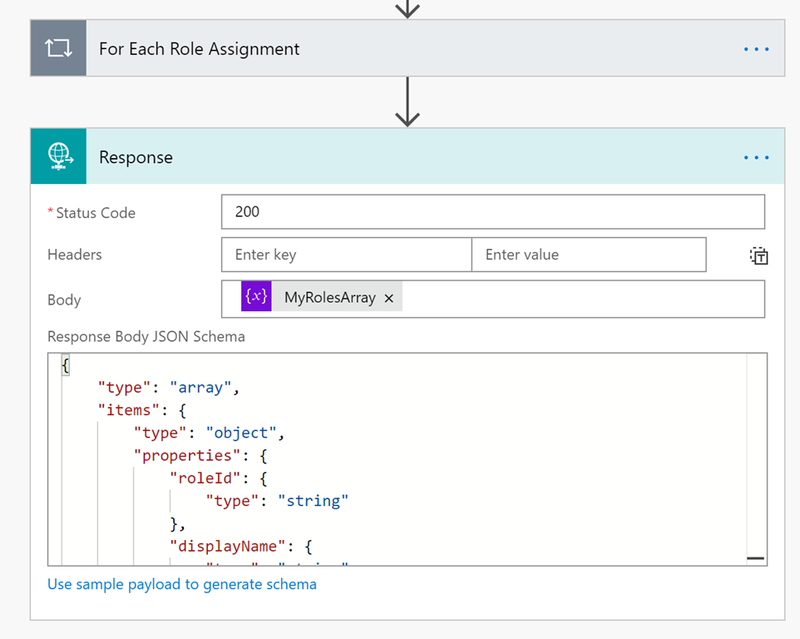 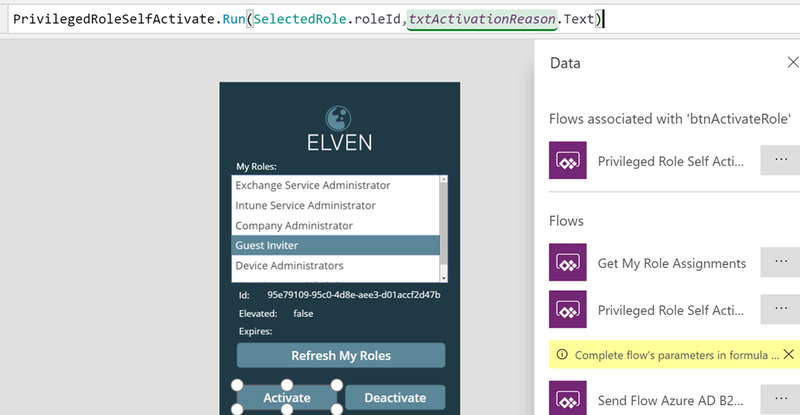 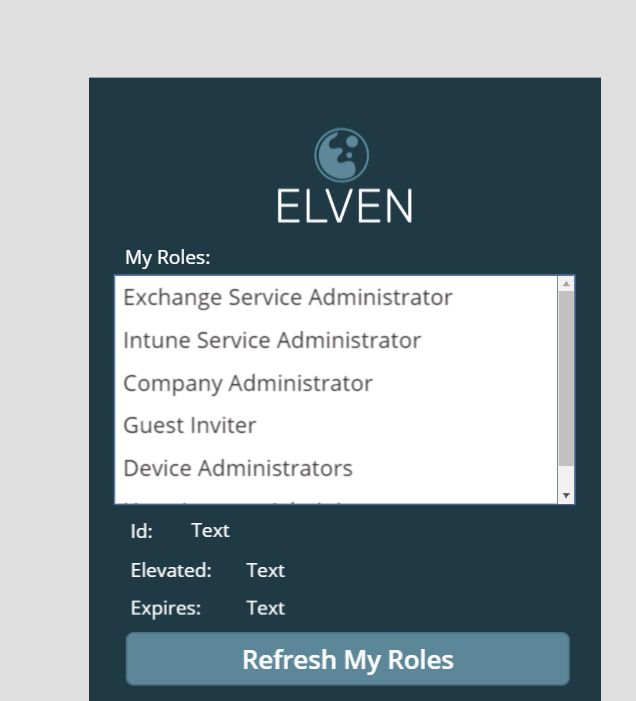 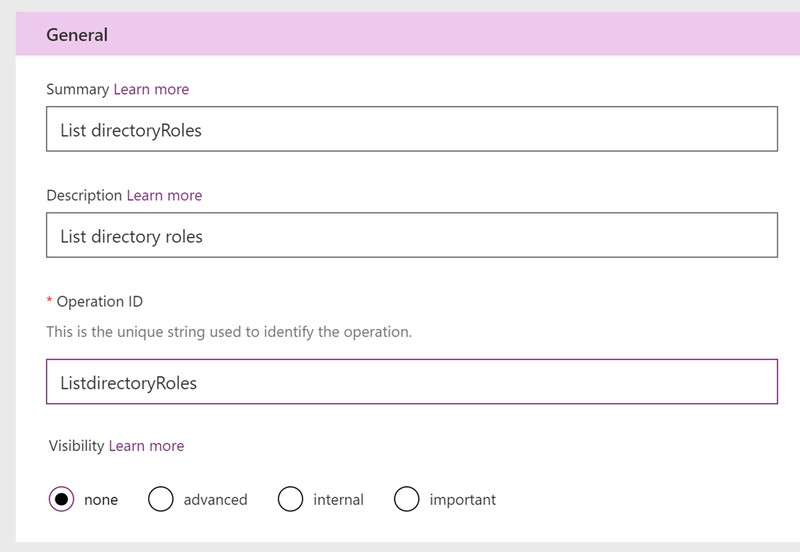 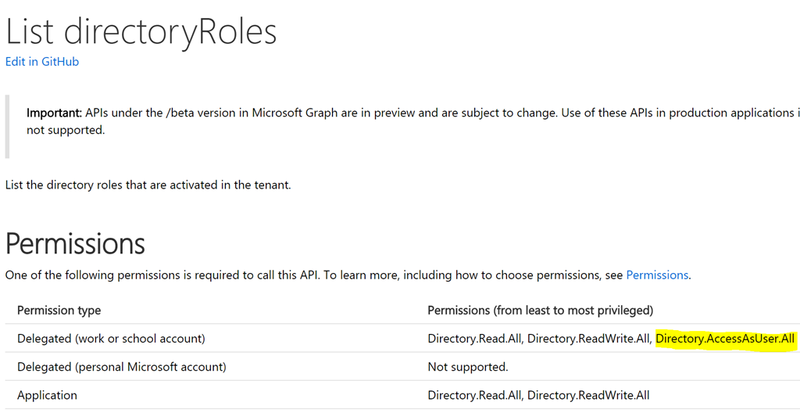 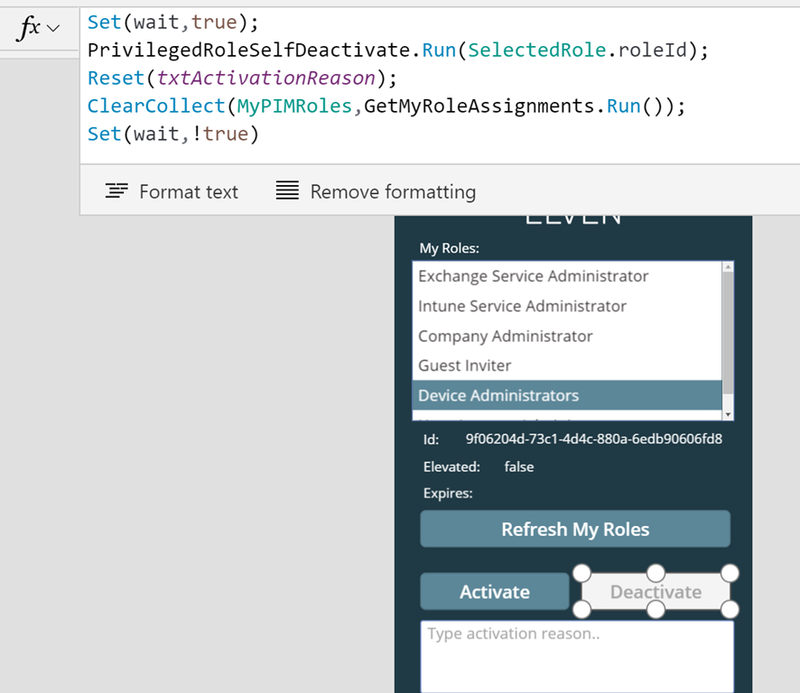 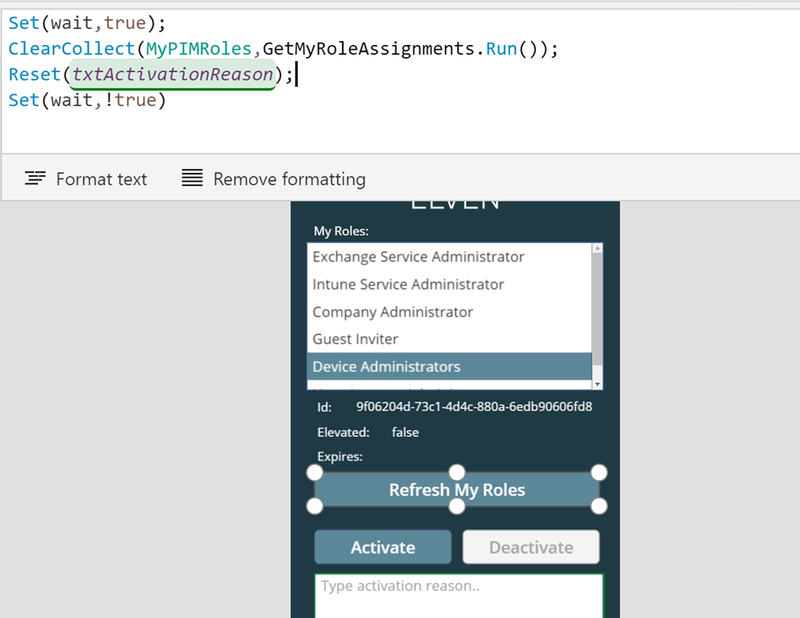 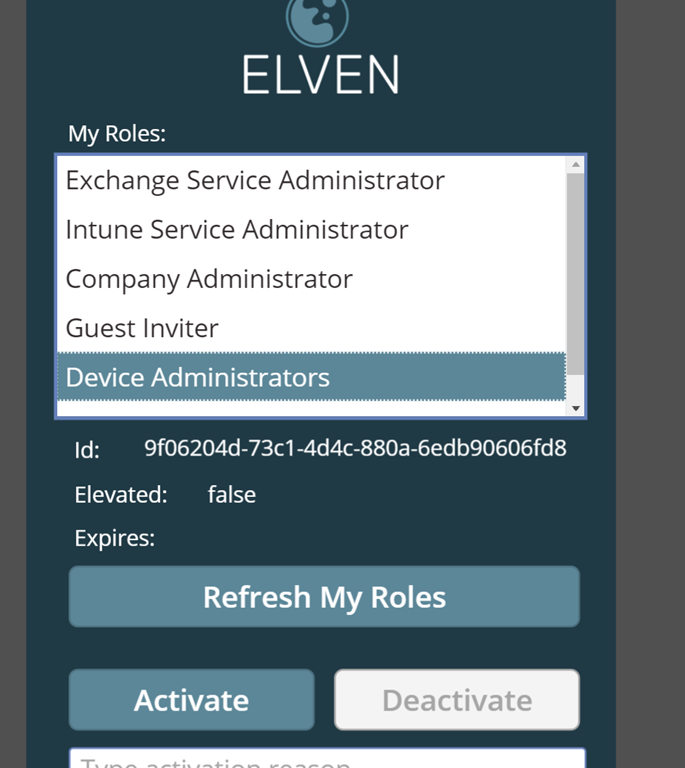 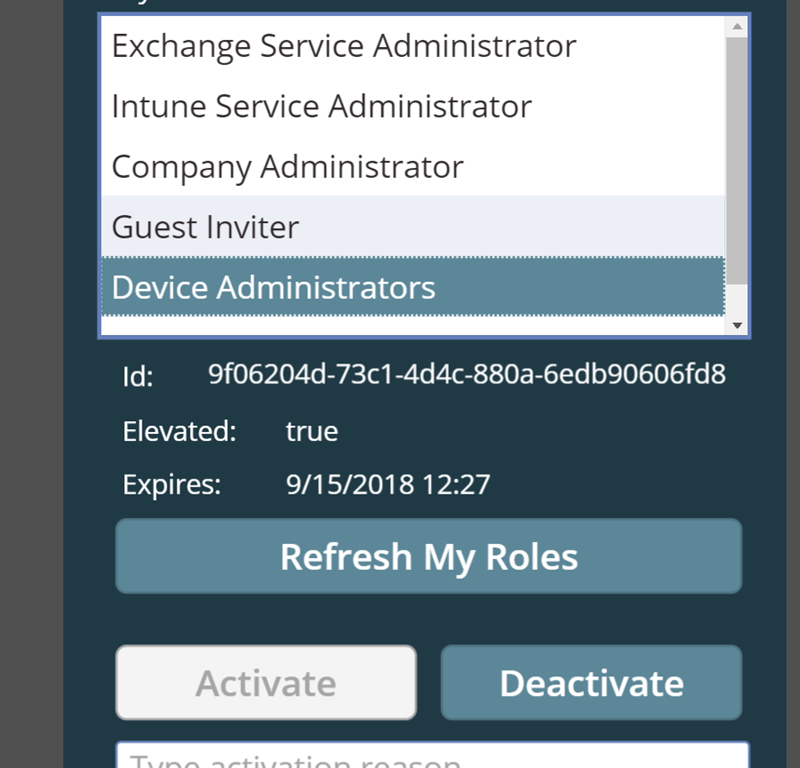 This would list any permanent or eligible role assignments the user you connected with using Connect-PimService has. 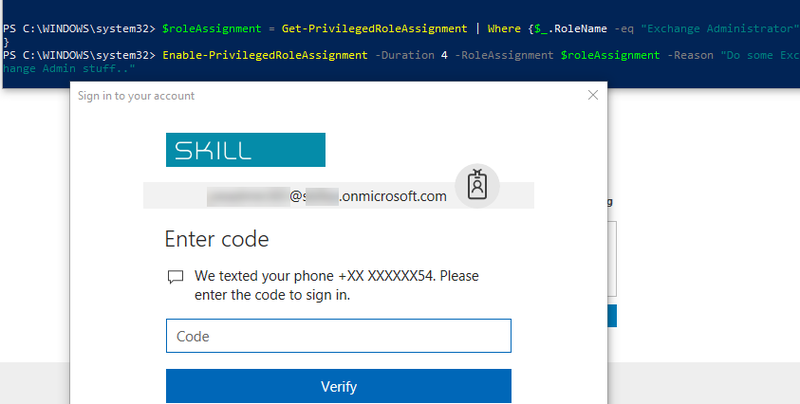 Enable-PrivilegedRoleAssignment. 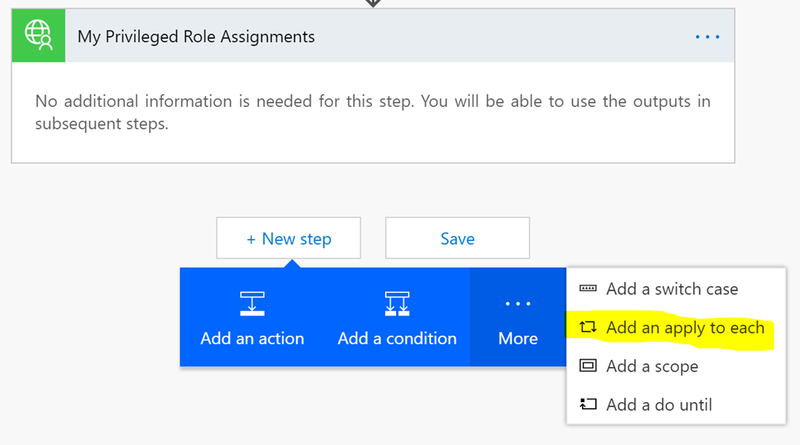 This command will enable a specified role assignments. 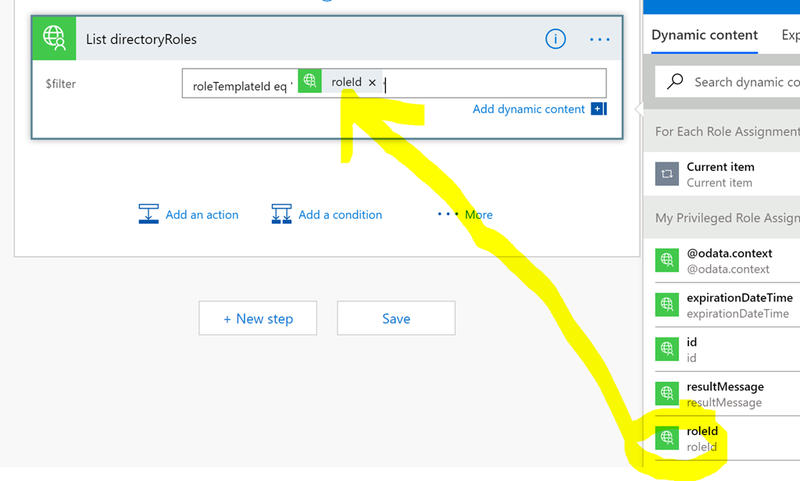 It is required to specify which role either by RoleId or by a RoleAssignment variable. 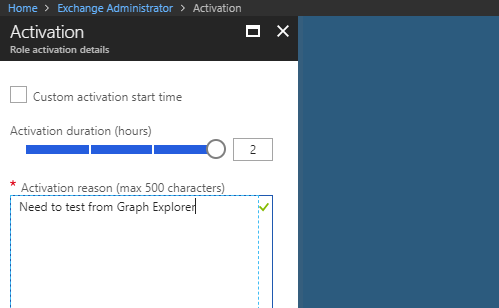 It is also required to specify a Duration for activation. 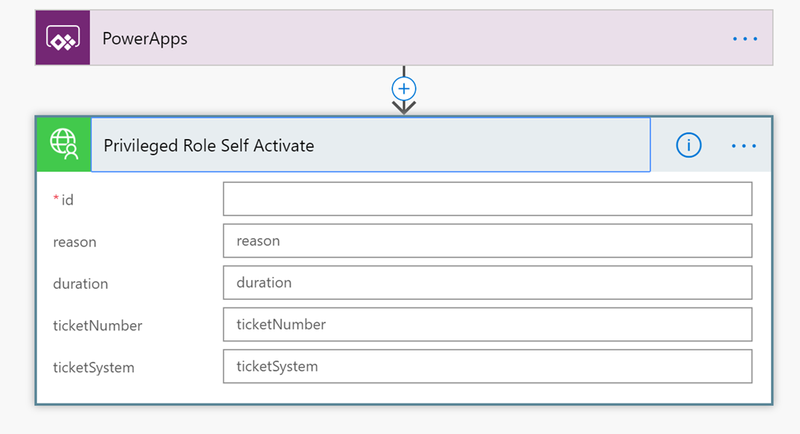 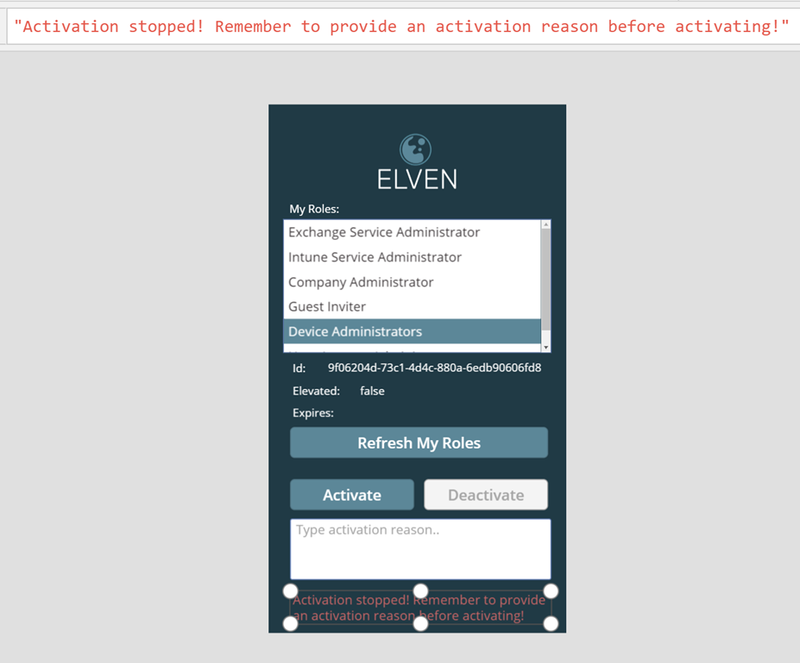 Optional parameters includes Reason, TicketNumber, TicketSystem and StartTimeUtc. 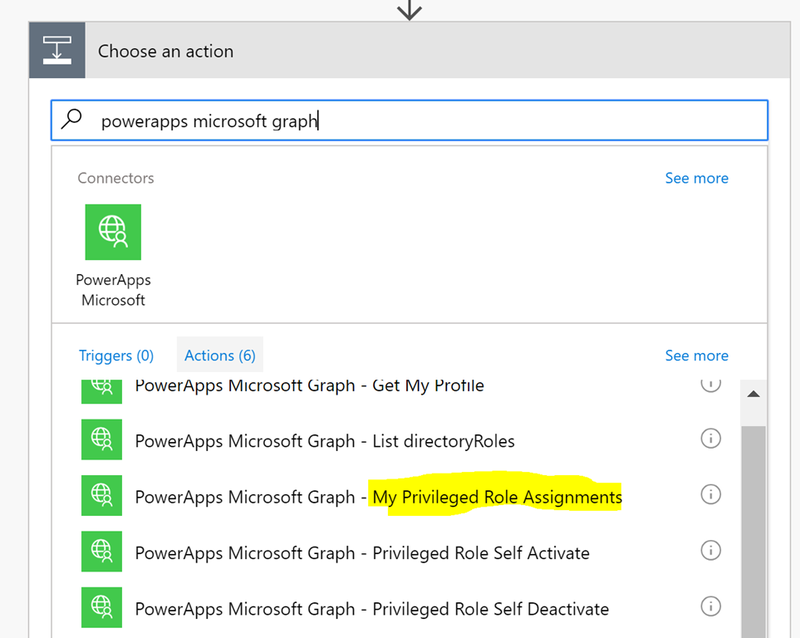 Disable-PrivilegedRoleAssignment. 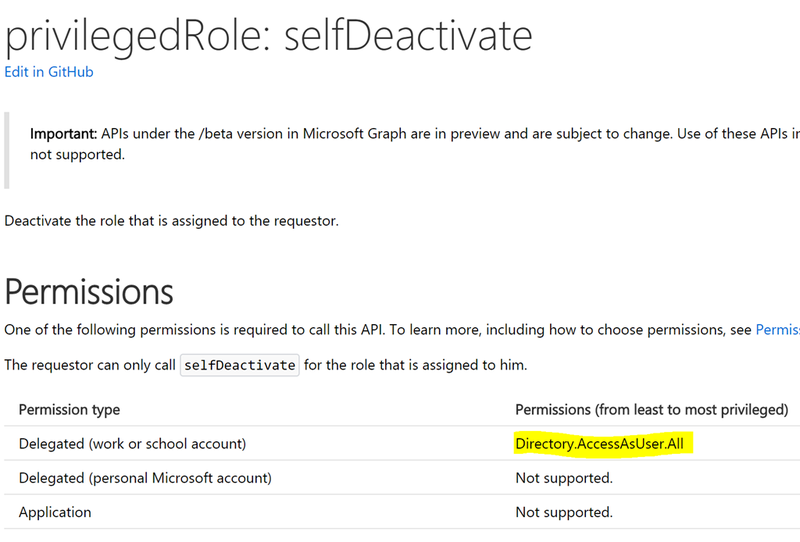 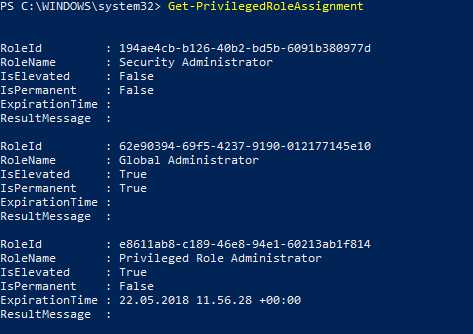 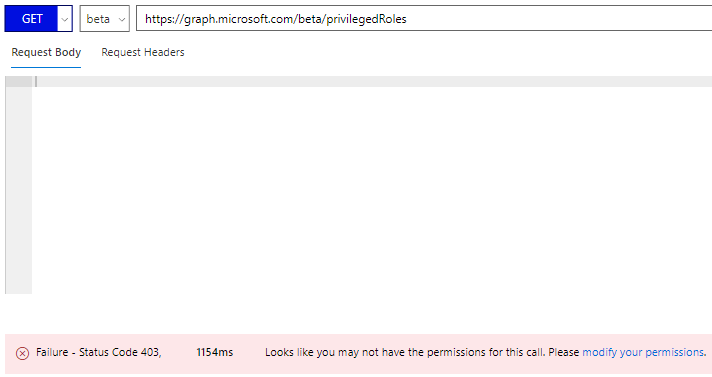 If you previously have activated one or more roles with Enable-PrivilegedRoleAssignement, you can preemptively deactivate these roles again before the duration expires. 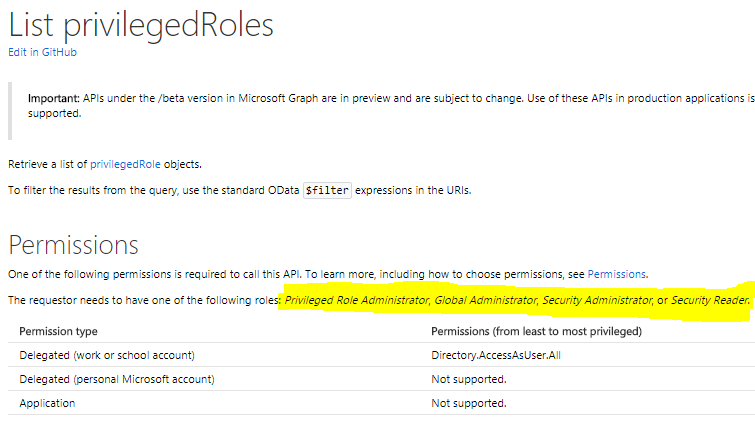 You must specify a RoleId or RoleAssignment variable. 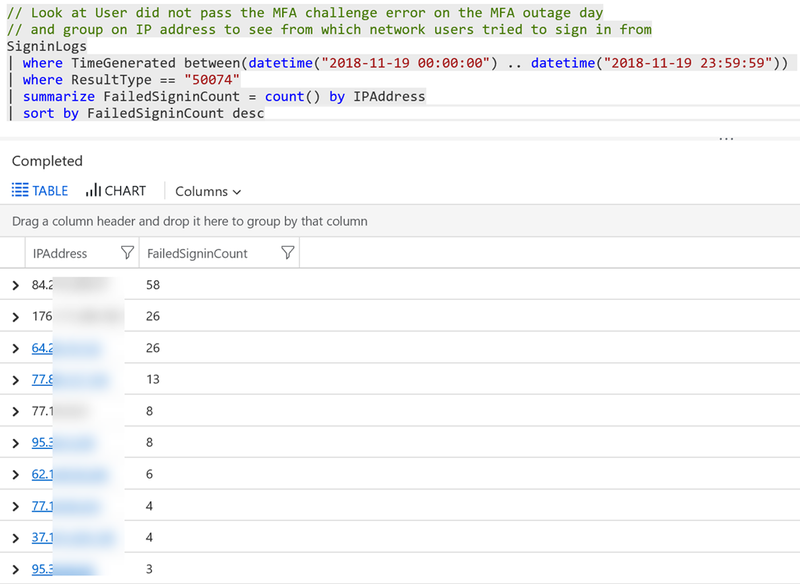 Disconnect-PimService. 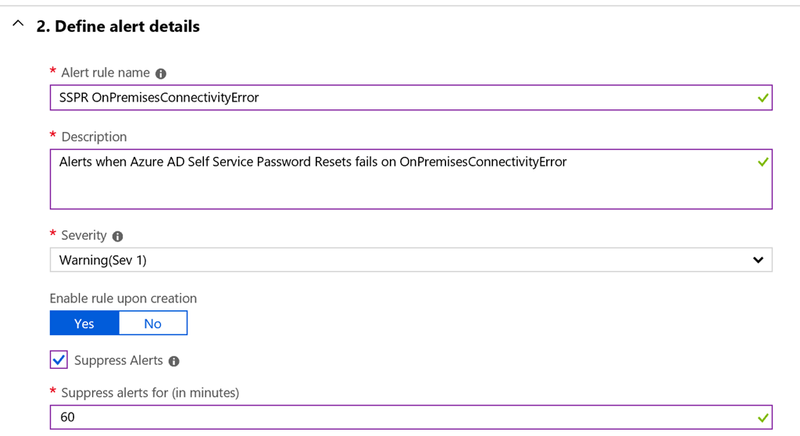 Disconnects any previous sessions to PimService. 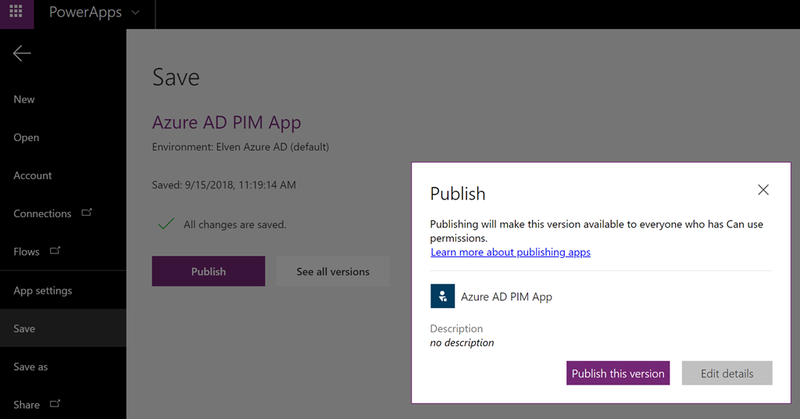 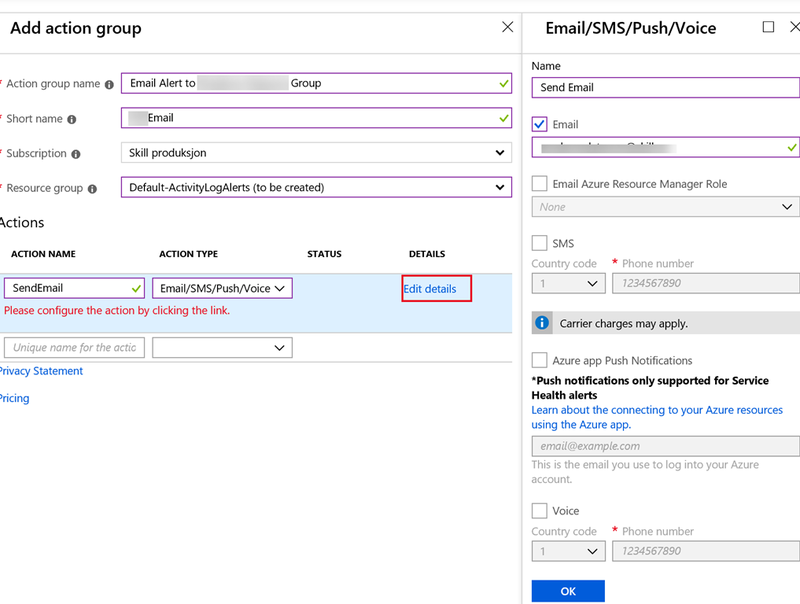 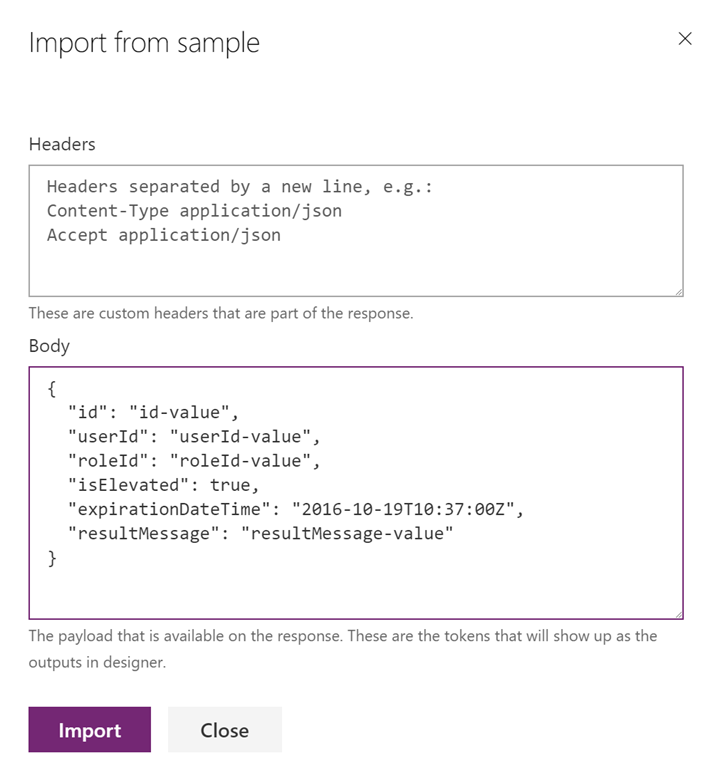 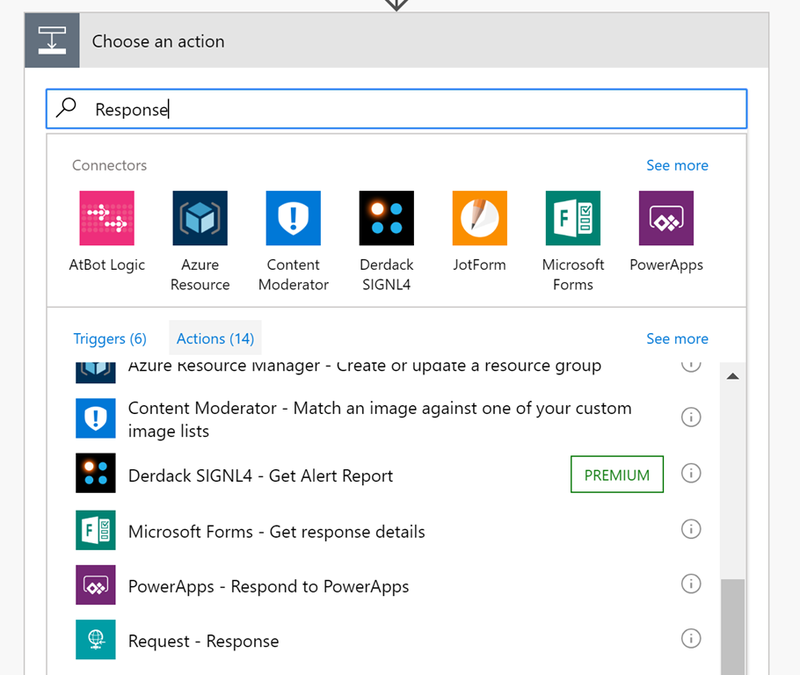 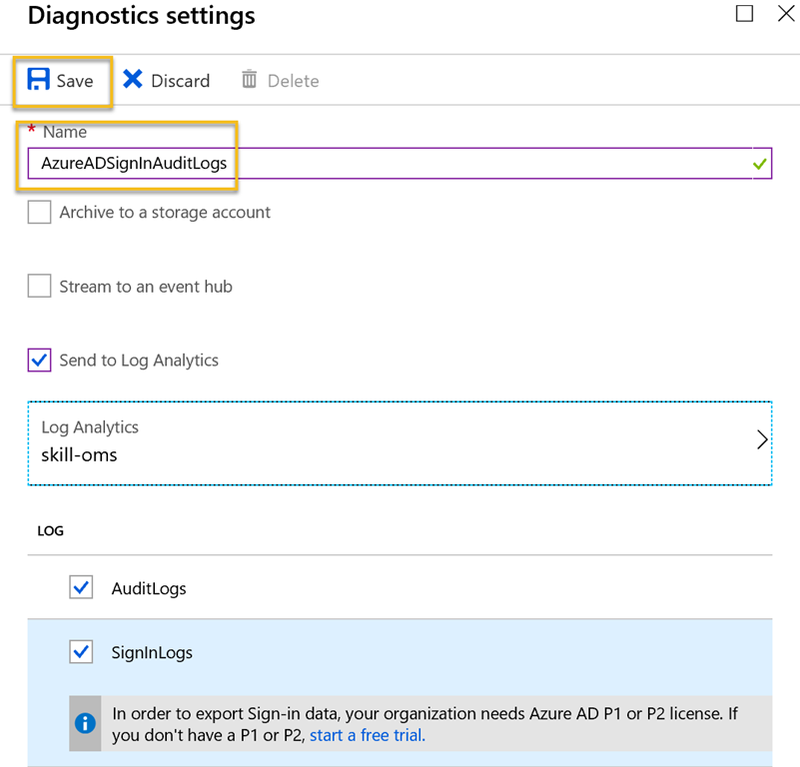 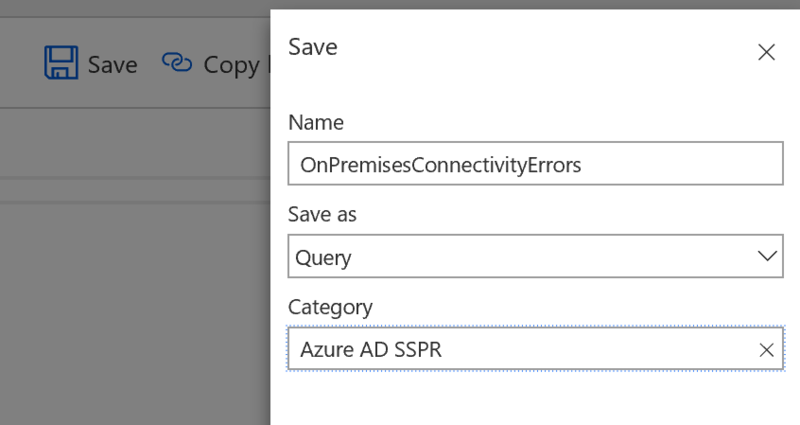 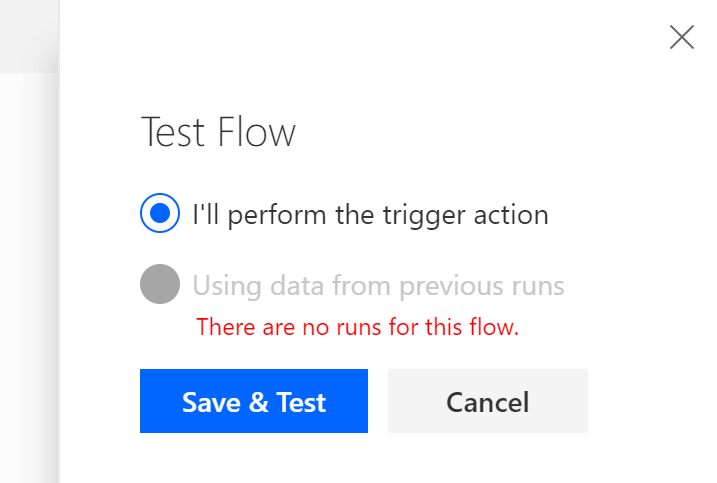 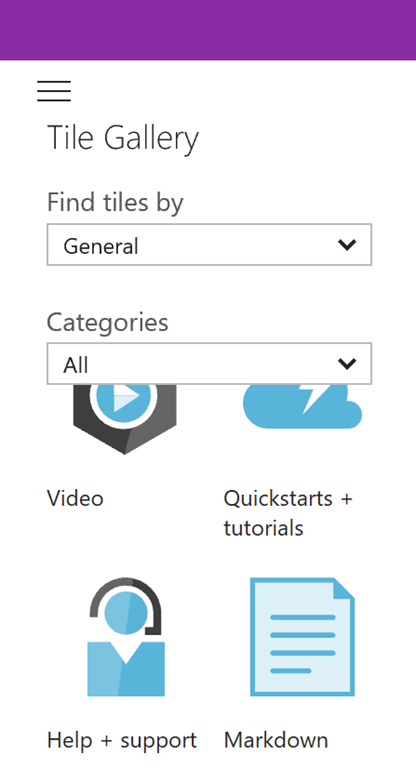 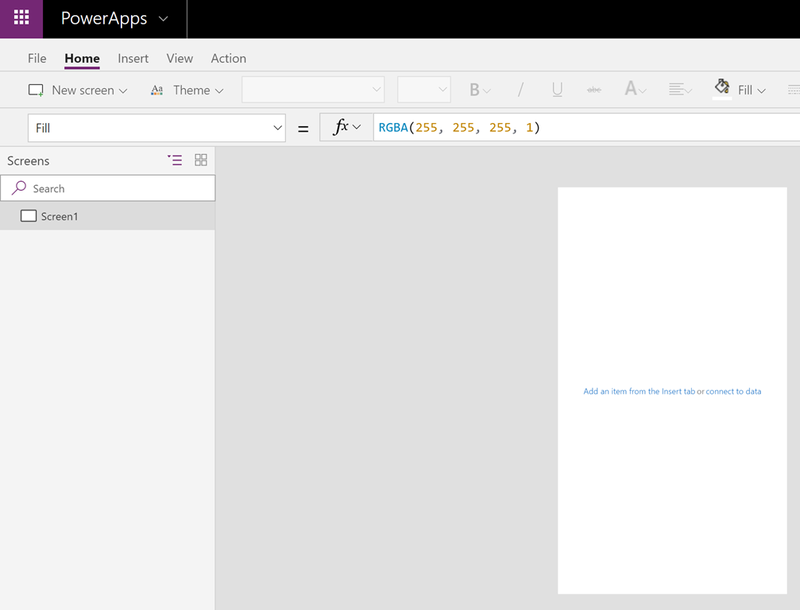 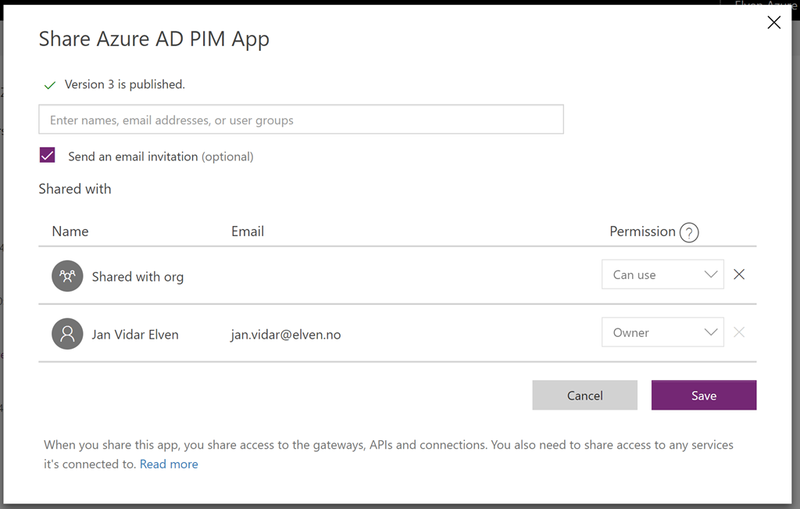 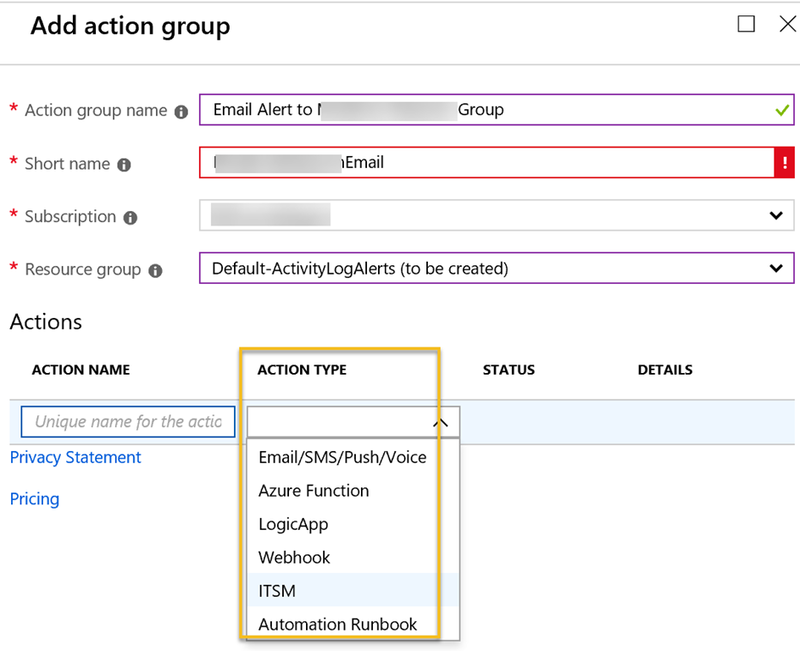 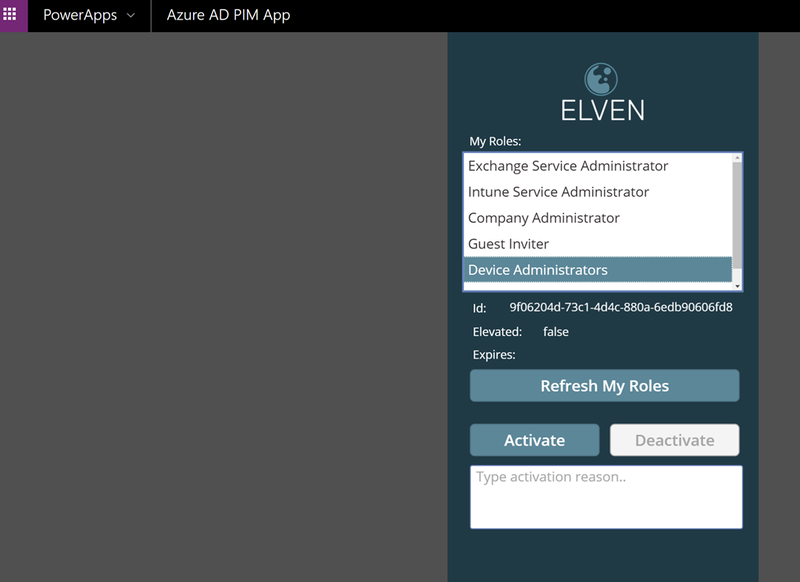 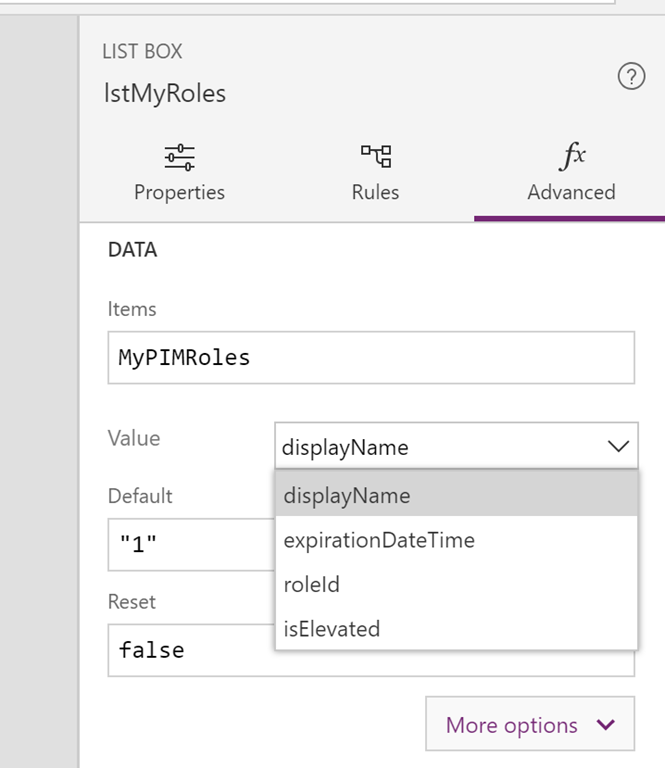 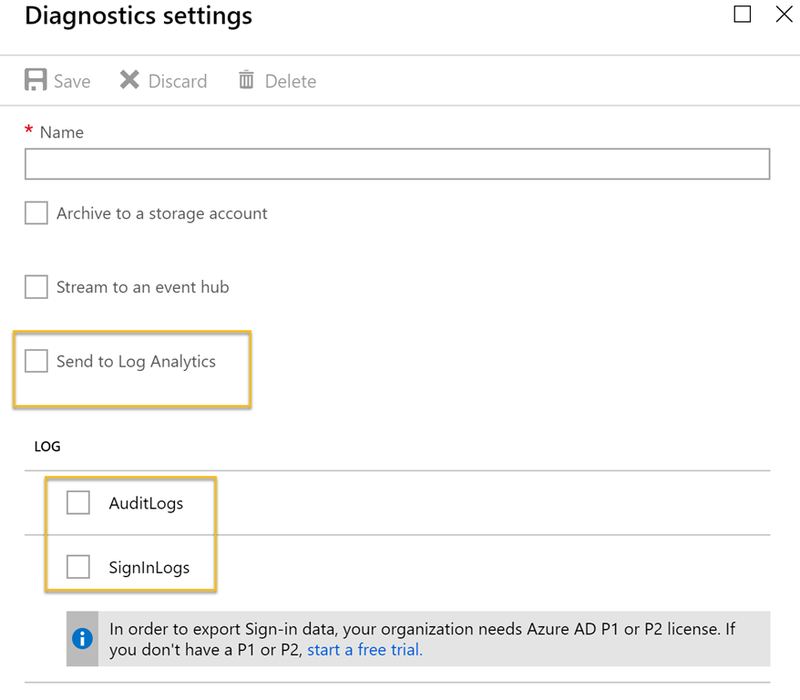 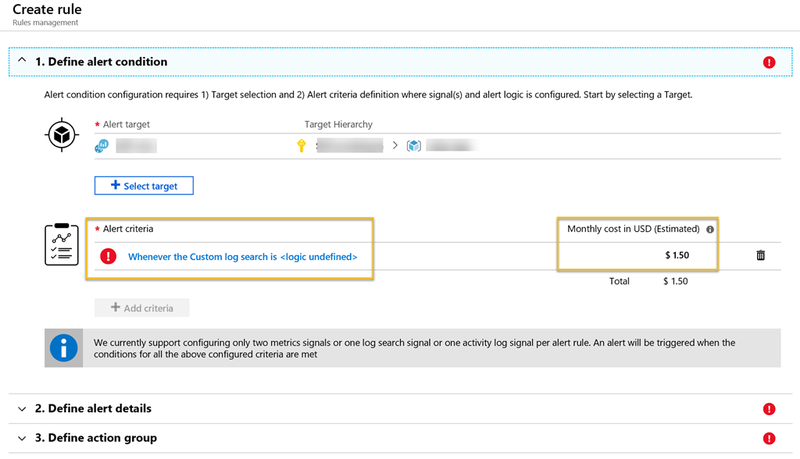 In the following I will show some examples of using the Azure AD PIM Module. 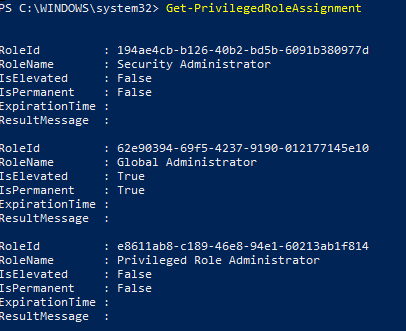 I now have a role assignment variable I can use in the following commands. 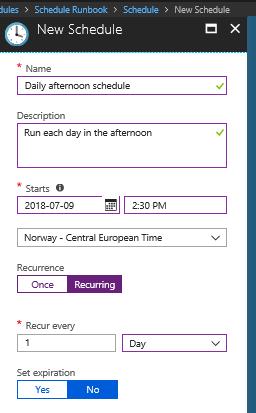 To enable one of my roles, I need to specify a duration (PS! 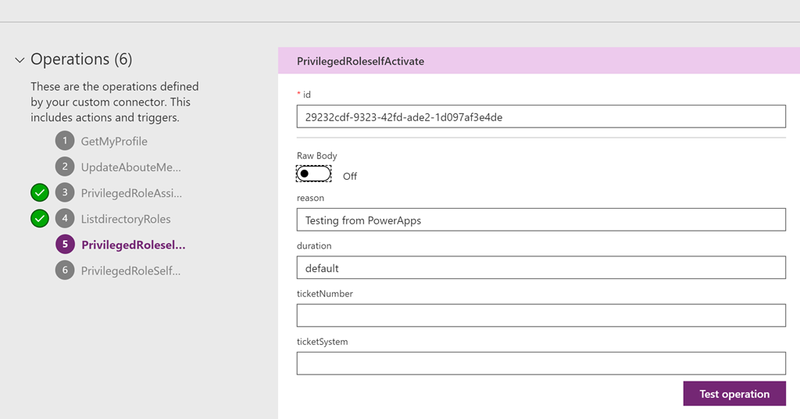 keep inside the allowed role settings for max duration! 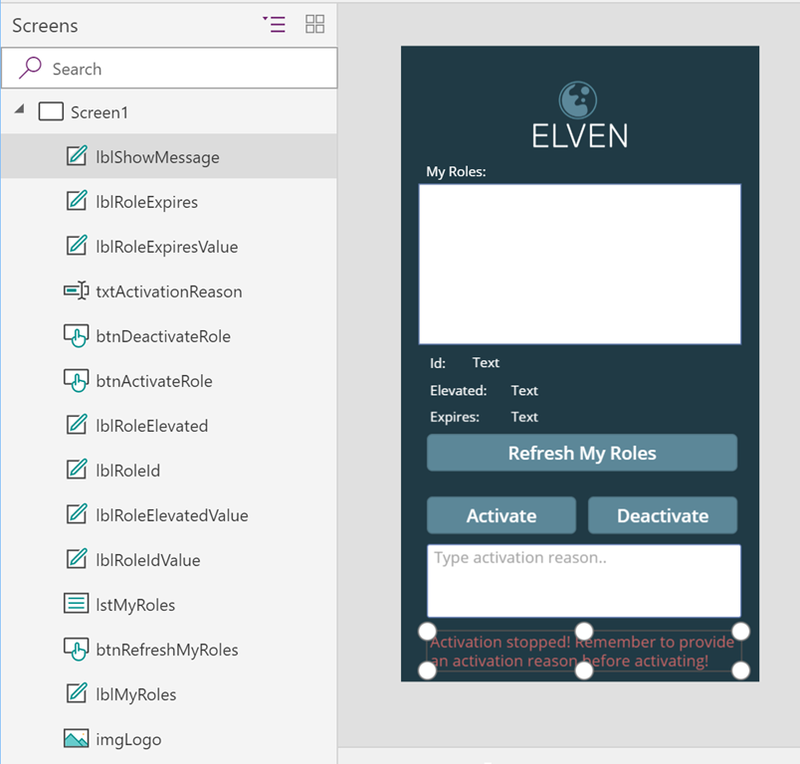 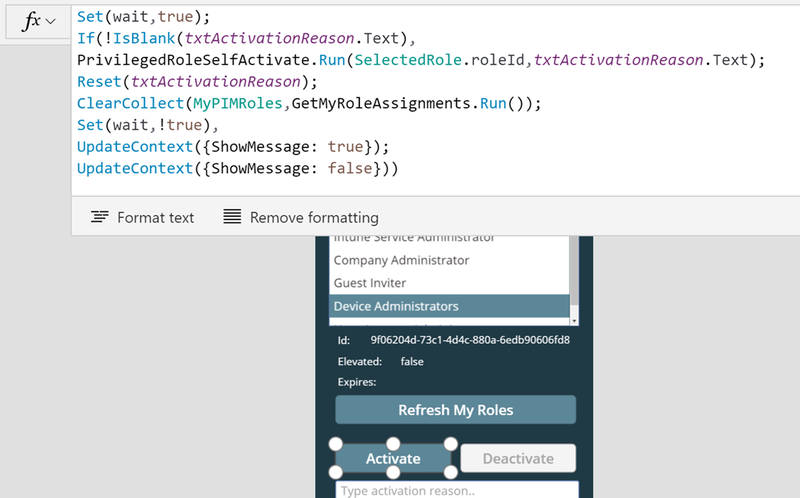 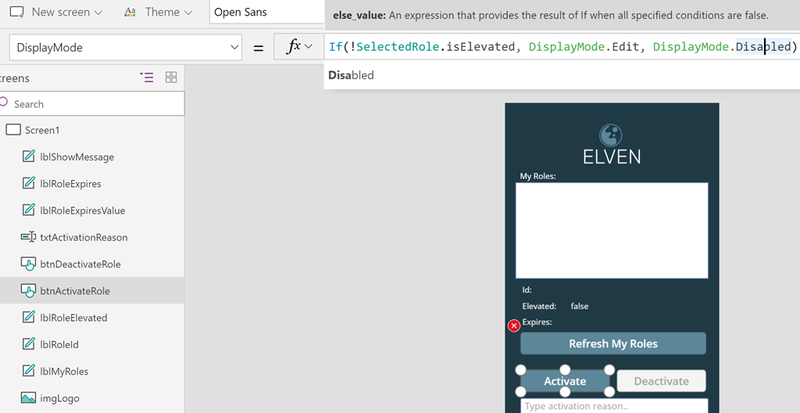 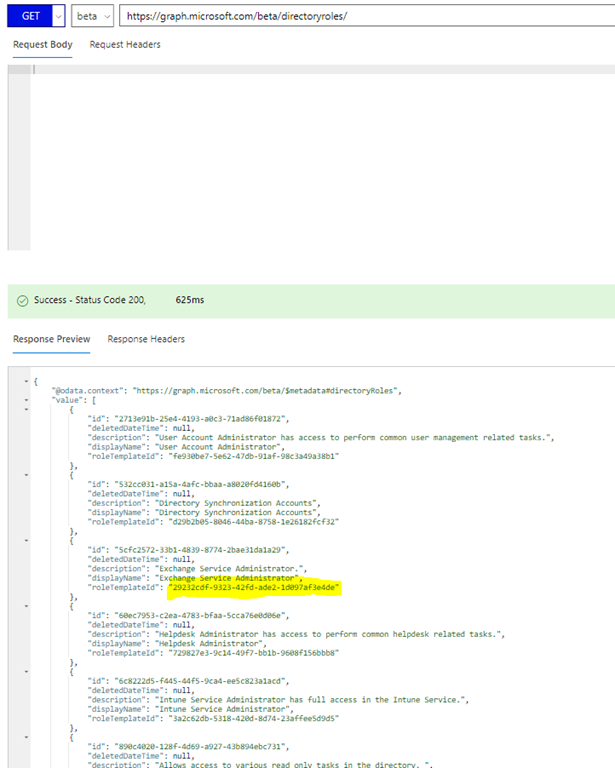 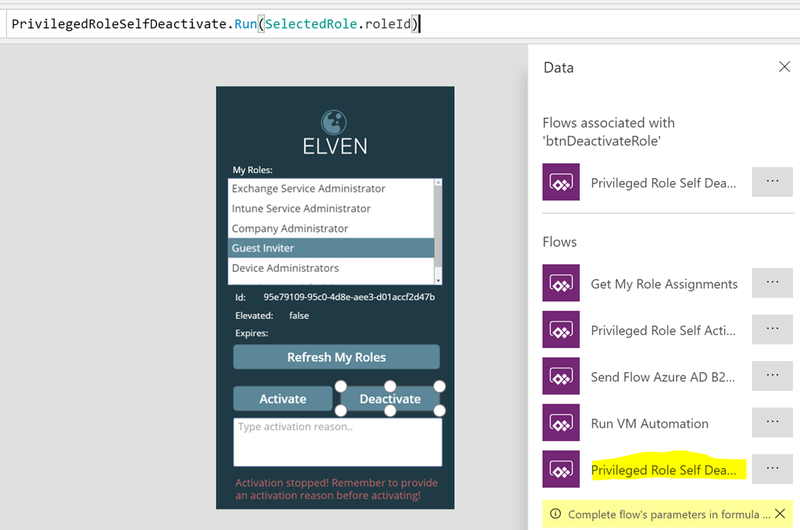 ), and specify which role either by RoleId or RoleAssignment variable. 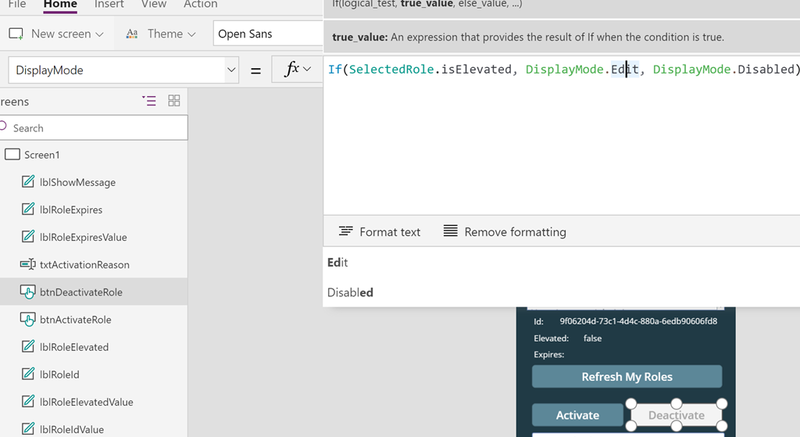 Optional parameters like Reason etc can also be specified. 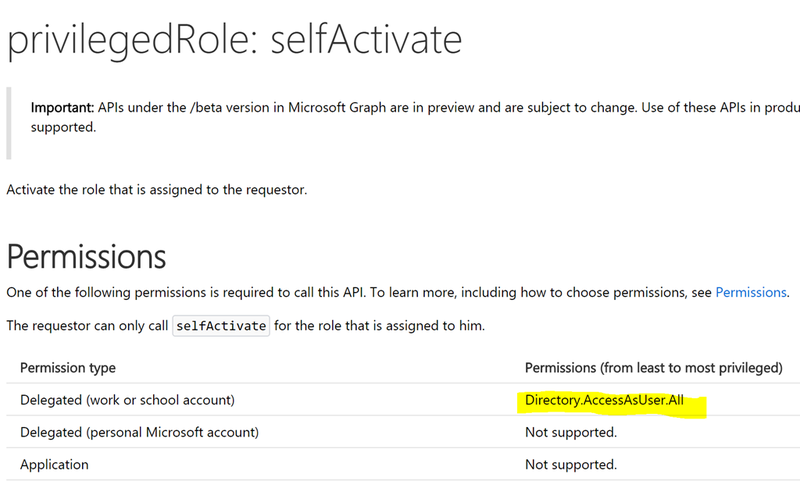 After running the command, if successful it will return as a submitted request for activating role membership. 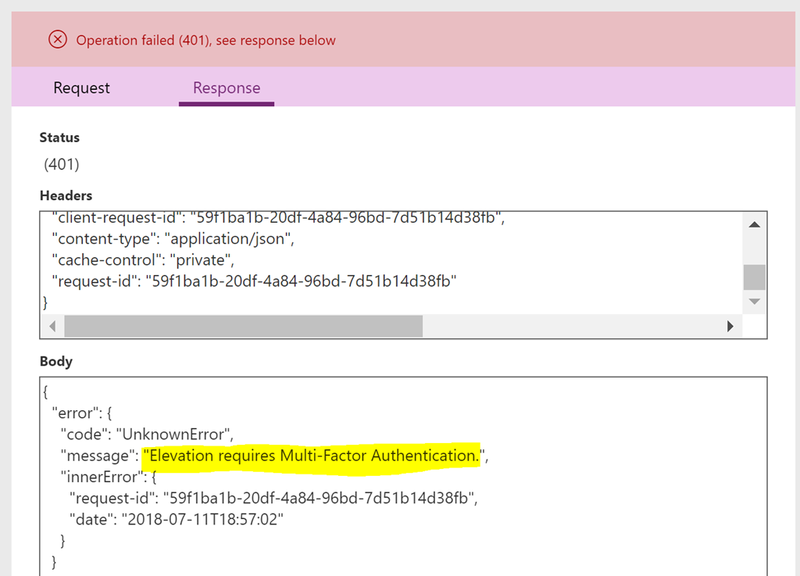 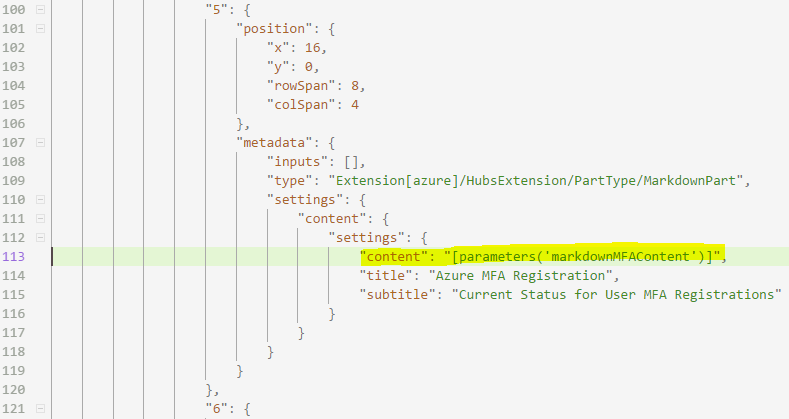 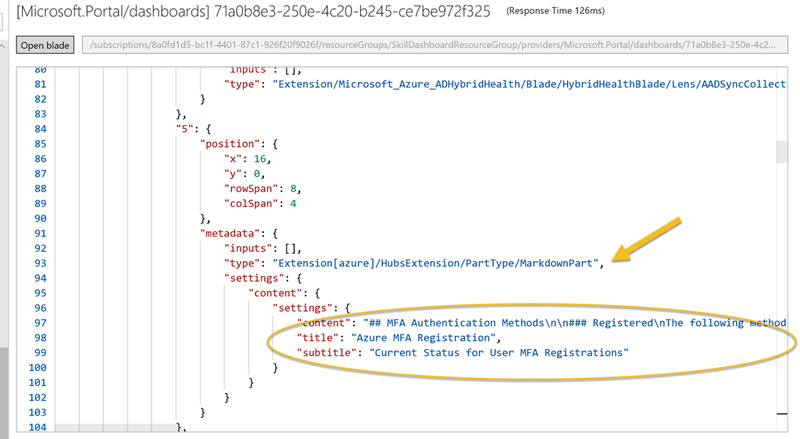 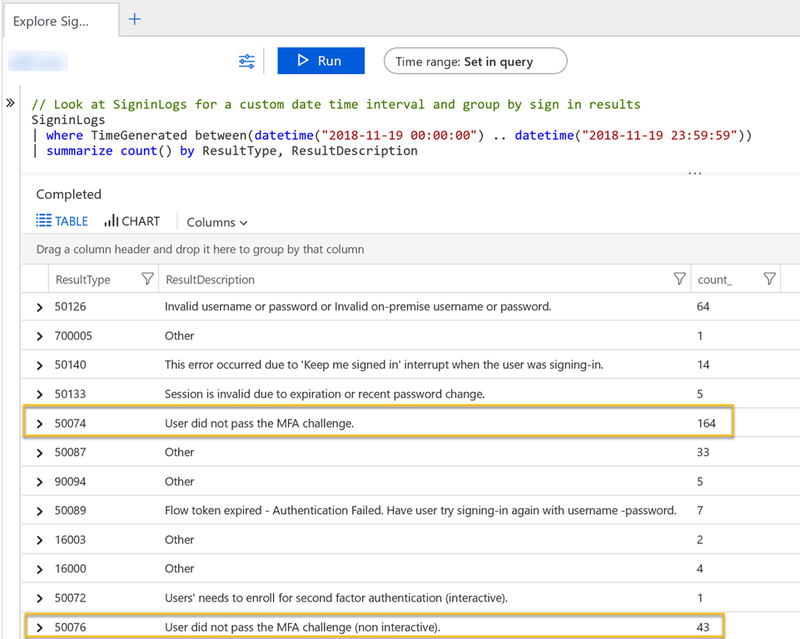 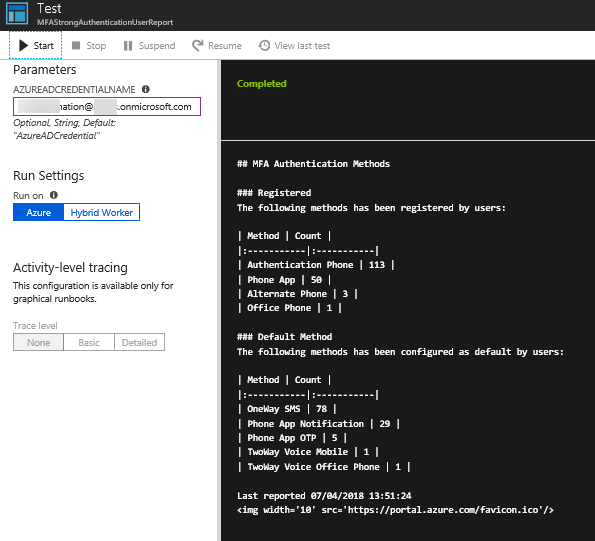 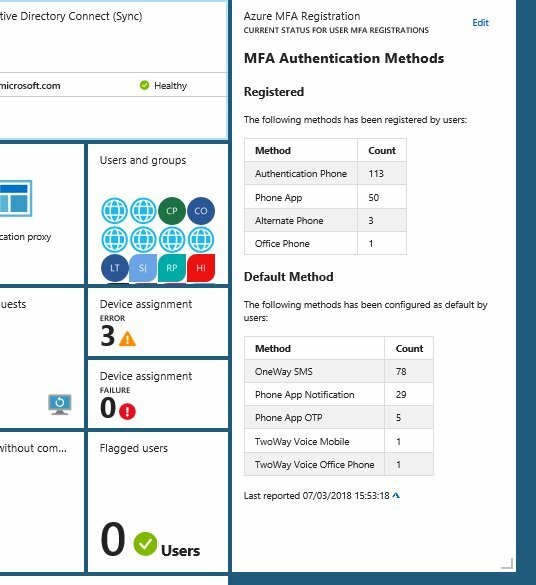 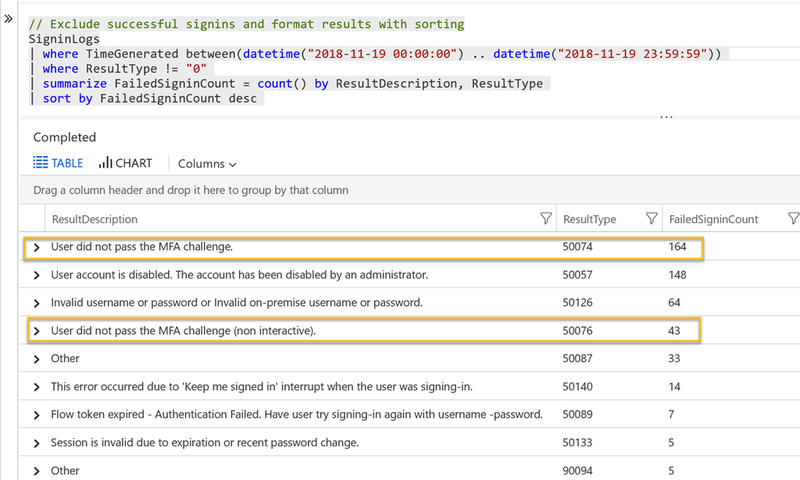 If the user already has verified the identity with Azure MFA when authenticating with Connect-PimService, the user will not be asked again. 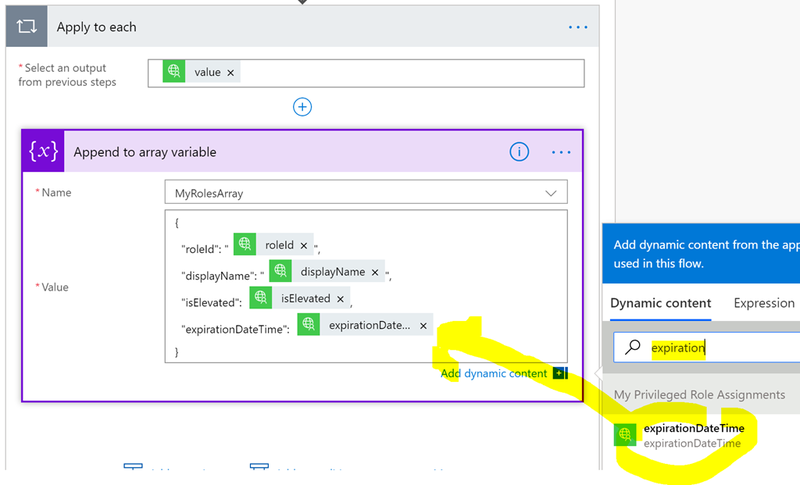 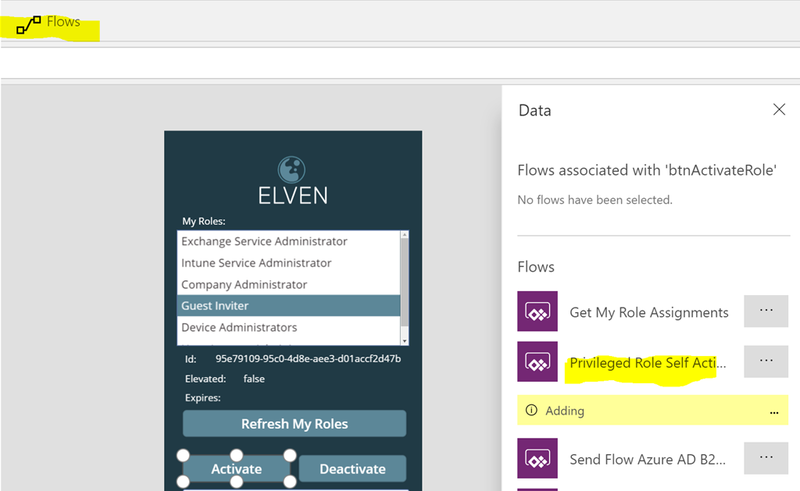 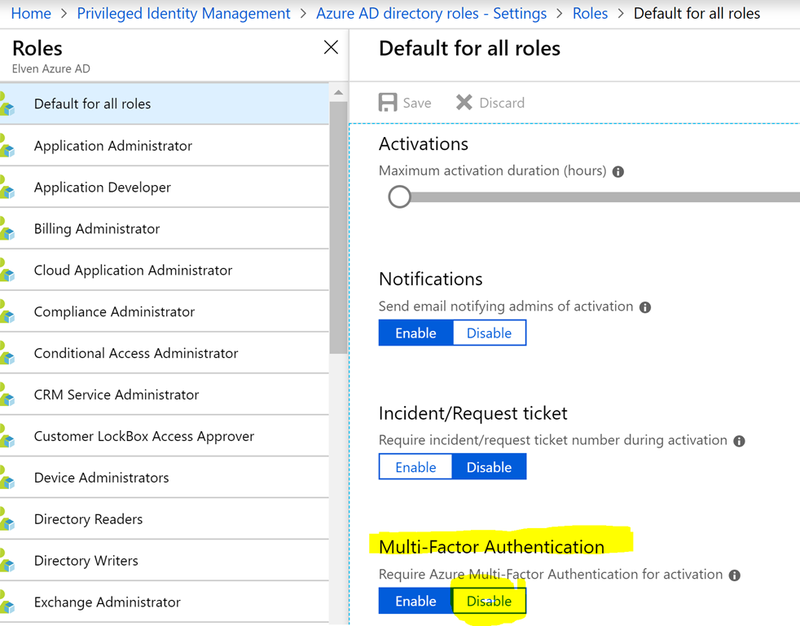 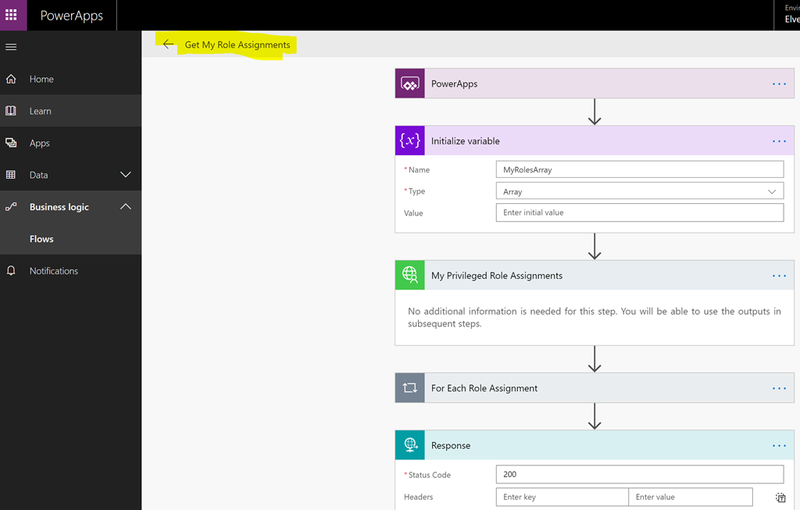 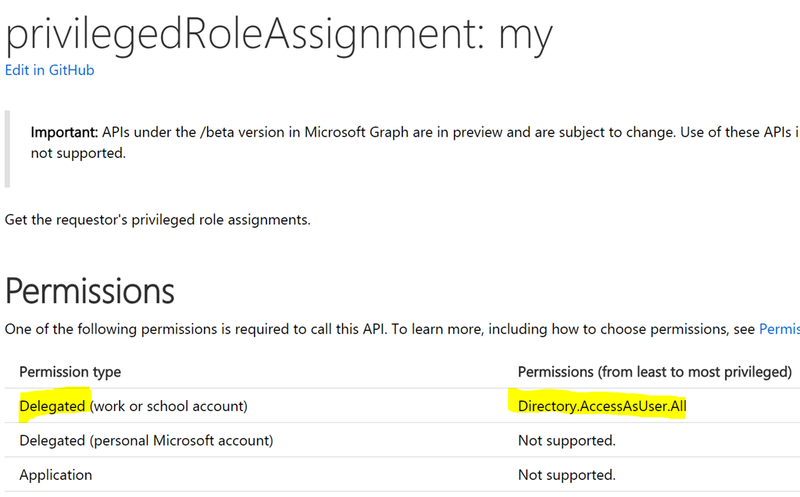 This is the same experience as by using the Azure Portal for activating roles. 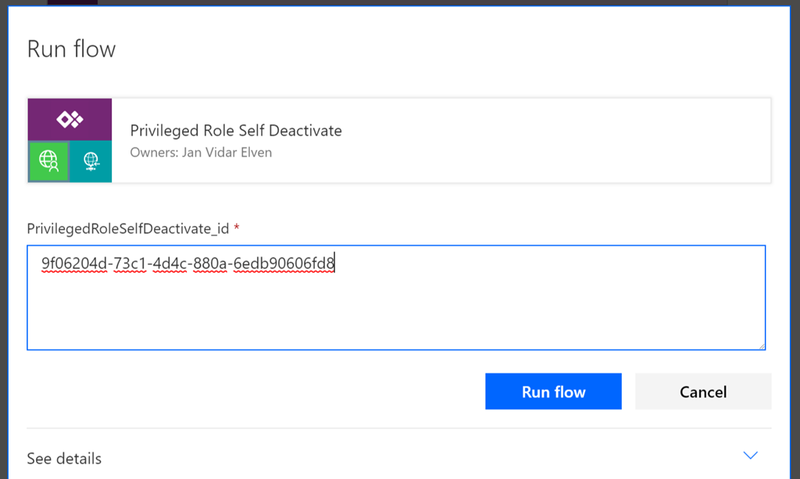 Any roles you have activated will automatically deactivate after the duration specified has passed. 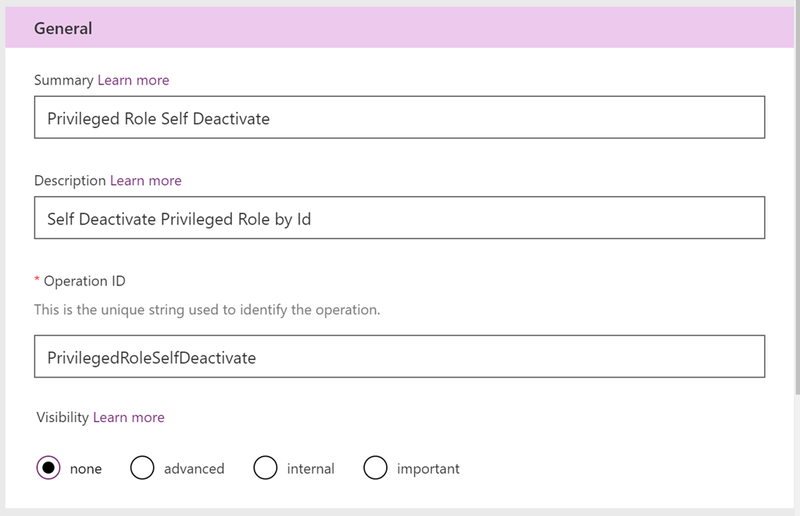 However, if you are finished doing administrative tasks with your role, you can deactivate the role manually. 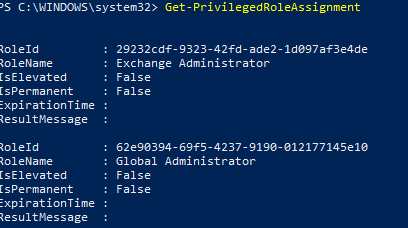 After running that command you can also see that there are no role assignments to list anymore. 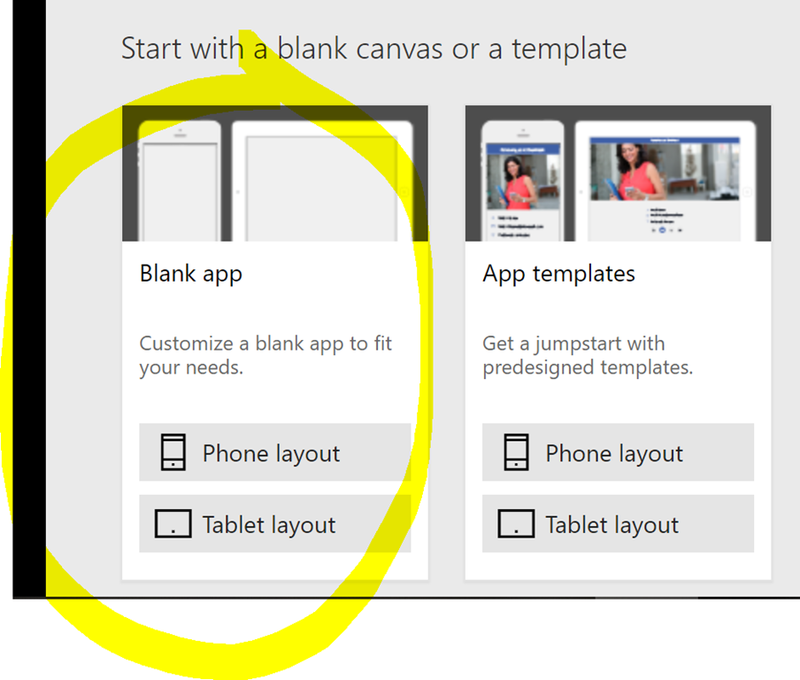 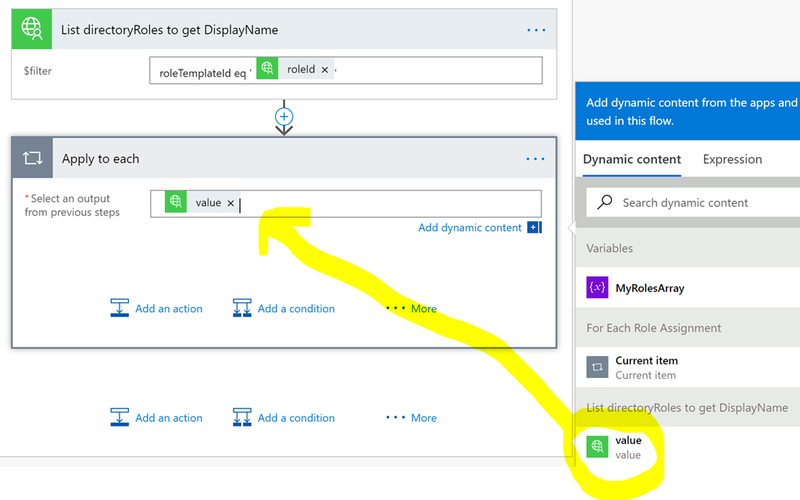 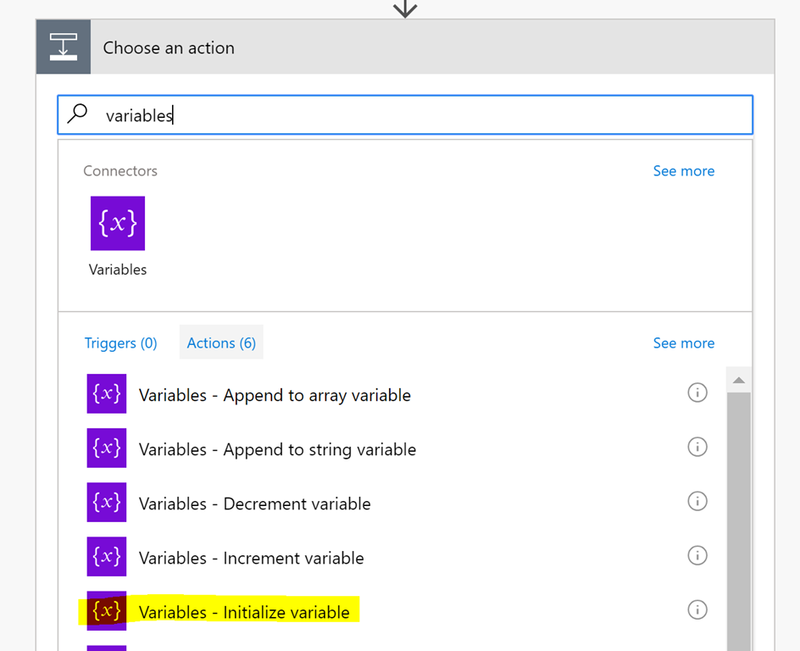 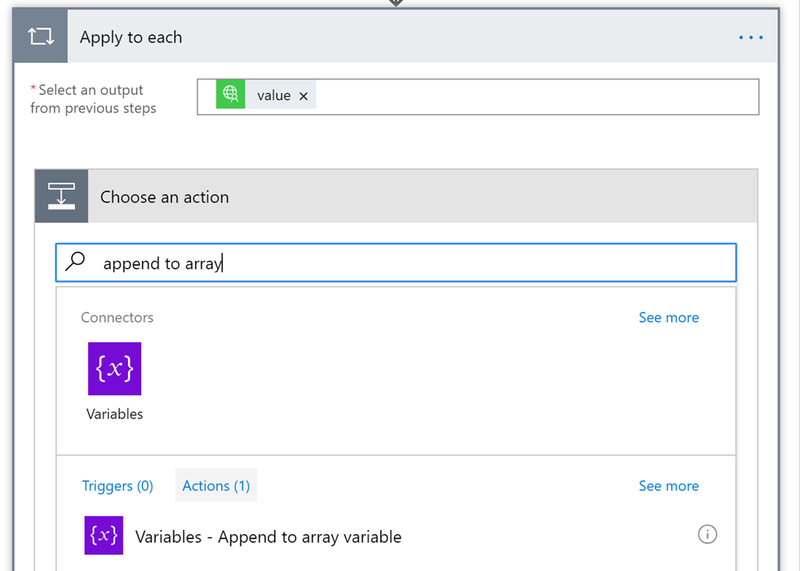 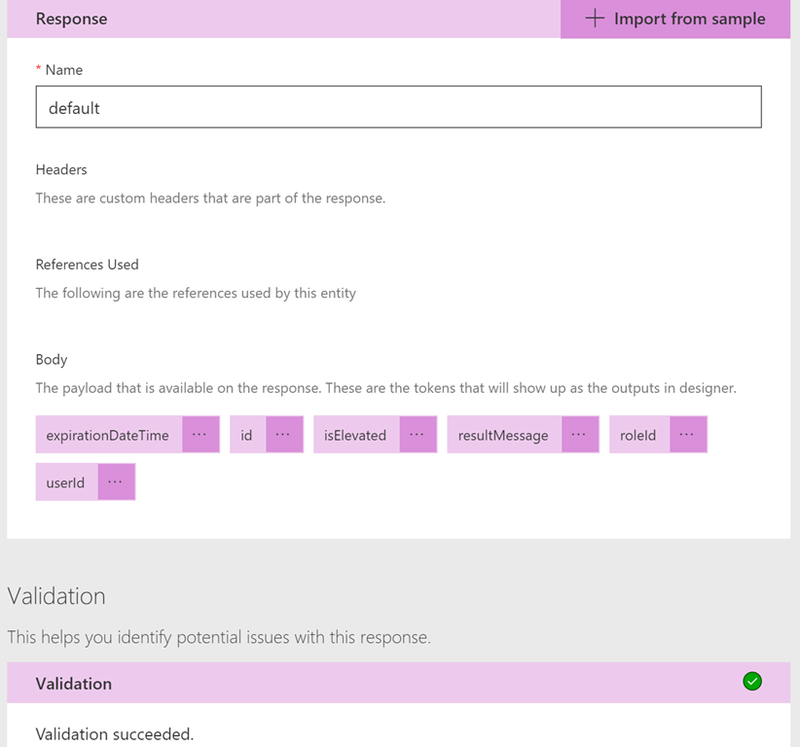 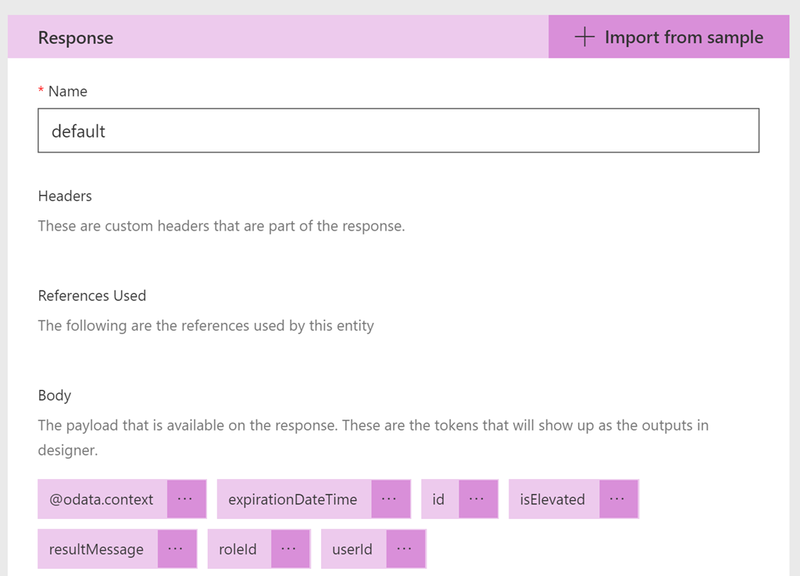 Hope these commands and examples have been helpful, enjoy working with Azure AD PIM! 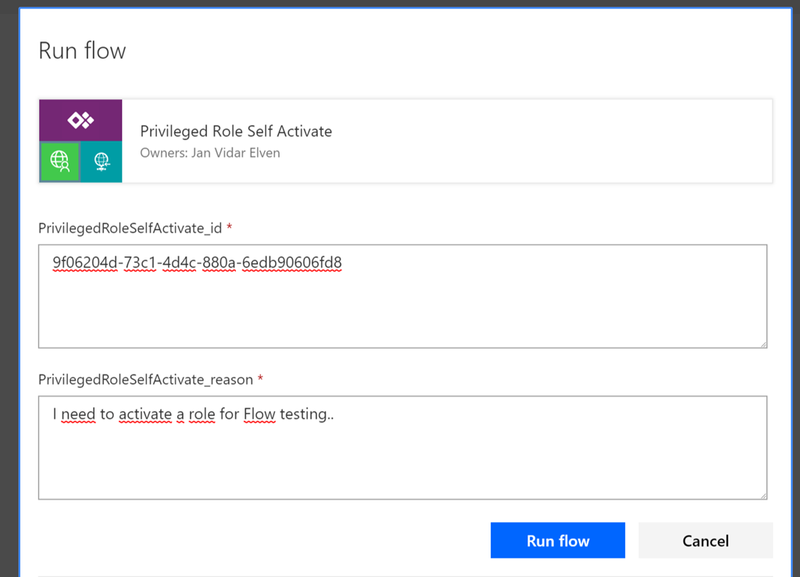 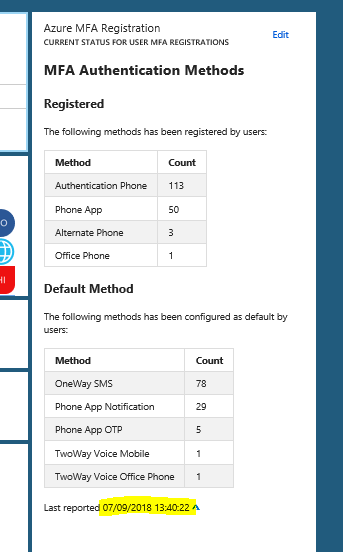 This entry was posted in Azure AD, Azure AD Privileged Identity Management, PowerShell and tagged Azure AD, Azure AD PIM, PowerShell on May 22, 2018 by Jan Vidar Elven.